Move That Chi on May 5th! 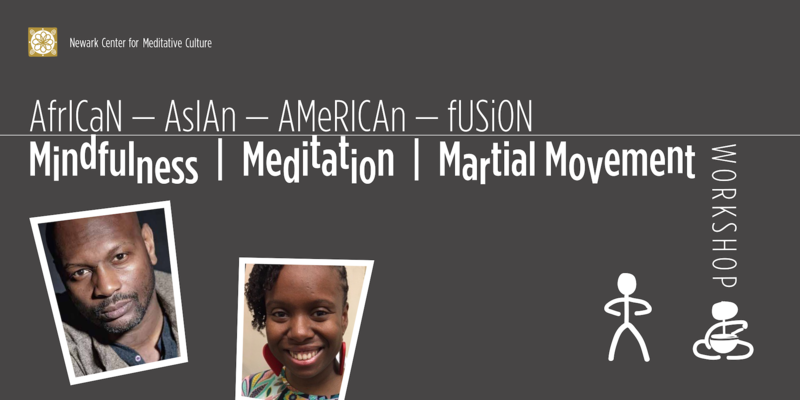 Spend the Cinco de Mayo afternoon doing a little African-Asian-American mindfulness! This donation-based workshop is appropriate for all people and of any discipline — beginners through advanced students. Teacher Khalil will be using internal martial arts exercises, though this is not a fighting workshop. It is rather a means of using these disciplines for healing (energy work), mindfulness, and achieving a state of “no mind.” Guidance from Andrea will include a sitting meditation and sound healing meditation. Suggested donation of $25 adults/$15 students 18 or older. Youths 12-17 come free. To attend go to: ncmc-spring-workshop.eventbrite.com. SPECIAL APPEAL: We need your immediate help to secure our first rental space! 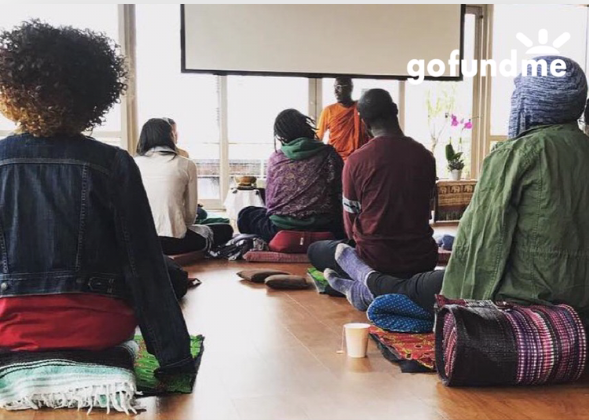 We are appealing to you for your immediate help at this turning point in our development as a center and in our efficacy in building a much-needed meditation community in Newark, NJ. 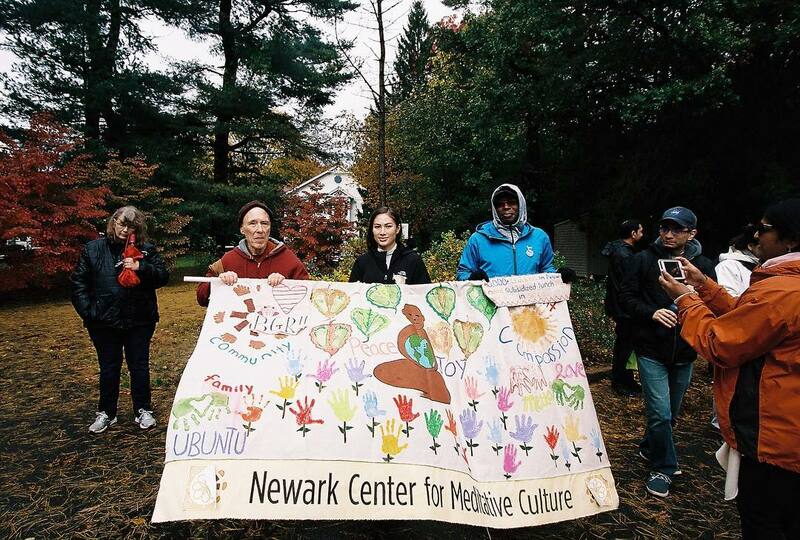 The goal of Newark Center for Meditative Culture (NCMC) is to develop integrated and broad applications to bring mindfulness and meditation in their many forms and life practices to the community. We do so through providing mostly donation-based or free programs to the community. Your kind donations will allow us to continue to provide these life-enhancing programs regardless of any participant’s present economic circumstances. To take our goal to the next level, we need to have a home base where we can offer more weekly programming and a hub for our community to gather (rather than ad hoc venue rentals). We are excited to now have a commitment for a rental lease of rooms in a landmark building in a central downtown location near Military Park, Newark, NJ. What we need immediately is the funding for at least 1-1/2 years of a two-year lease, approximately $10,800. This is the immediate need of our First Priority ASK. You can help by donating now to our GoFundMe campaign. We understand that money can be tight — please know that even $5 helps us get closer to our goal! Securing the funding for the rental space is our most important requirement so that we can develop our programs without the pressure of worrying about rent for a while. Beyond this, being able to purchase needed supplies, services, and equipment is important to keep the flow of resources going for people to stay connected. Developing a library will ground our community in knowledge. 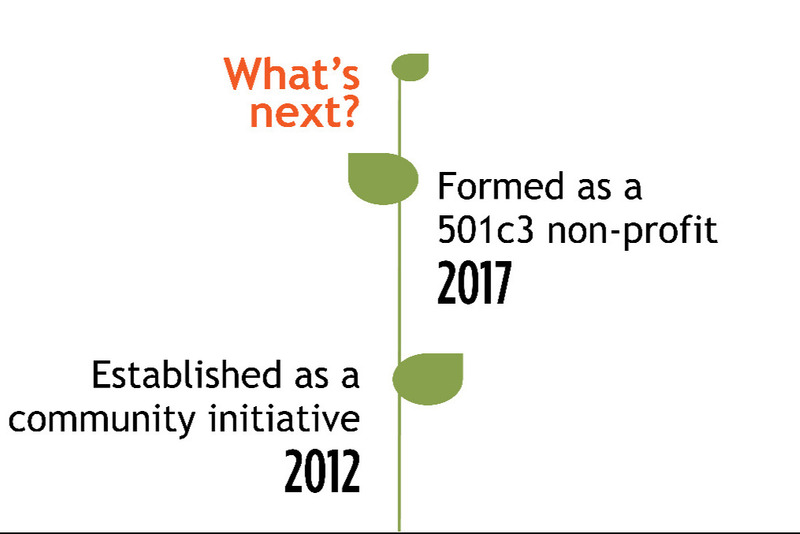 You can read our full 2019 Business Plan for an in-depth overview on NCMC and our budget proposal including our prioritized ASK. Can you help us to reach our immediate need of $10,800 of our First Priority ASK? It’s vital to get into our space quickly! If you have any questions or would like to discuss your potential funding please contact our Treasurer, Andrea Lee, at treasurer@newarkmeditation.org. ps. If you are more comfortable with donating directly through PayPal, donate here. Checks are also welcome made out and sent to Newark Center for Meditative Culture, PO Box 182, Newark, NJ 07101. Please let us know that you have sent a check. pss. 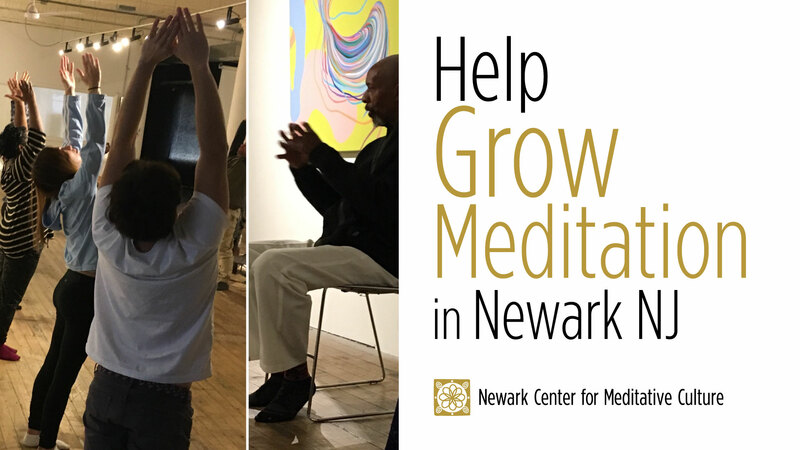 Please share this appeal with like-minded friends who may want to support the development of our meditation center in the diverse urban community of Newark, NJ. 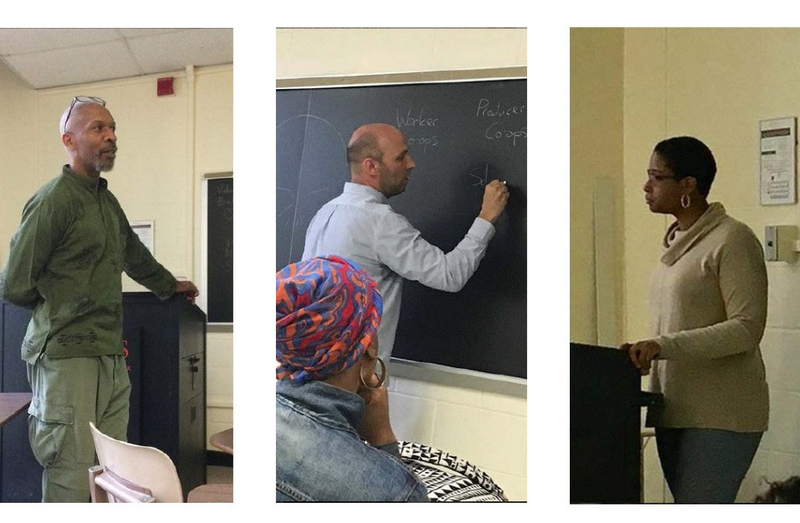 Teachers Rebecca Li and Shaka Georges guided once again an engaging retreat for NCMC — expecially important since the majority of the students were beginners. The students asked excellent questions during the Q&A’s. The reflections got personal and the students empathized, connected, and learn from each other because of it. Of concern to many was how to bring what they learned on the cushion home to the people they live with and see often. A couple teachings that were taken home to practice were: a) See things for what they are and not what you think they should be. So pay attention as the ideas in your mind are most often not what is right in front of you, and, b) Suffering provides us with the opportunity to observe and experience our habits. We always have a choice to continue acting out our habits or free ourselves to expose the truth through mindfulness. One student commented that they would take home the art of seeing people the way they are and another about how it helps to practice with others and to hear their questions about the practice. We had one 10 year old participant who had lots of fun with the movement meditations and was the first to volunteer to show her drawing and explain it during the Art of Seeing workshop. The vegan lunch was a hit! People came back for seconds and there were plenty of compliments. We thank our volunteers Elena, Marcus, and Teneka for their support at the retreat. And kudos to Elvis for his beautiful art photography of the program. We are especially grateful for the teachers Rebecca and Shaka for practicing with us. And, as always, thank you to Lowell, director of Index Art Center, for providing assistance, and this time, such a colorful venue to experience… and well, see! Women! Drop Your Cape for the Day on March 31st! Mandara Parashakti Akiwumi is a trauma informed, evidence-based pastoral and spiritual counselor, wellness coach, and equity, diversity, and inclusion trainer. She is certified in mindfulness, yoga, and multiple somatic traditions. She received her training from Hunter College, Brooklyn College, Walden University, The New Seminary, and many teachers. Michelle Beadle Holder, PhD, President and CEO, Food at the Center, Inc. is a medical sociologist dedicated to doing her part to improve the social and physical health of black families. Her research has appeared in the Journal of African American Studies, Substance Use and Misuse, and American Journal of Health Behavior. In 2018, Dr. Holder founded Food at the Center, Inc., an educational and research social enterprise that uses food to build meaningful connections, improve health, and celebrate the culinary genius of people of African descent. 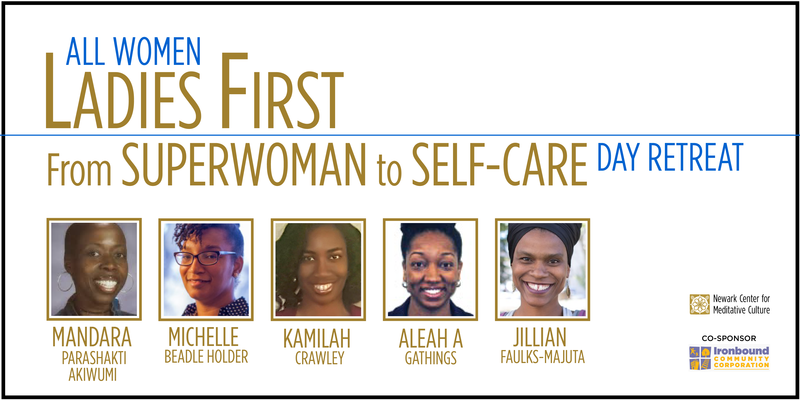 Kamilah Crawley, MPH, CHES is a public health professional who has provided health education workshops and trainings for various populations. She currently focuses on the intersection of public health, mindfulness and meditation as a tool for healing and healthy living. Kamilah was born and raised in Newark and is an alumni of University High School. Her degrees are from Temple University and the Rutgers School of Public Health. Aleah A. Gathings, JD, MPH is an advocate for children and a proponent of the medical-legal partnership model. Aleah believes in the power of hope, love, and the ongoing fight for social and health justice. Jillian Faulks-Majuta, Founder and CEO of Majuta Wellness, is committed to bringing wellness to individuals, groups and communities who are interested in living their most fulfilling lives possible. Through journaling, Kemetic Yoga™ and Holistic Health Coaching (July 2019). Jillian creates spaces for people to feel safe enough to challenge their bodies, thoughts and habits. 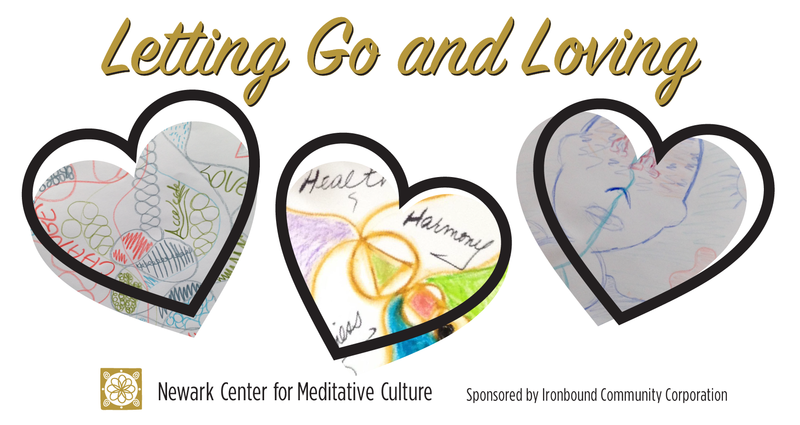 A program of Newark Center for Meditative Culture co-sponsored by Ironbound Community Corporation Family Success Center. AT THE BEGINNING OF THIS NEW YEAR we want to take a moment of your time to let you know how much your support means to us. 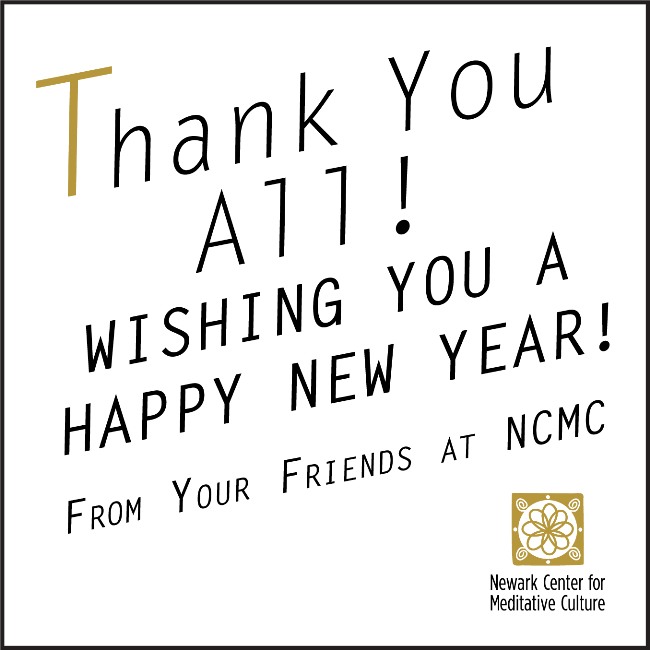 Without the support of our NCMC Friends — whether participating virtually in social media or physically at the programs — we couldn’t have provided the transformative programs that we’ve brought to the community. This past year we are especially grateful to our longtime VENUE PARTNERS — Index Art Center, Rabbit Hole Farm, and Military Park Partnership. A new venue this year has been the Ironbound Community Corporation and it has been such a pleasure to work with them as well. 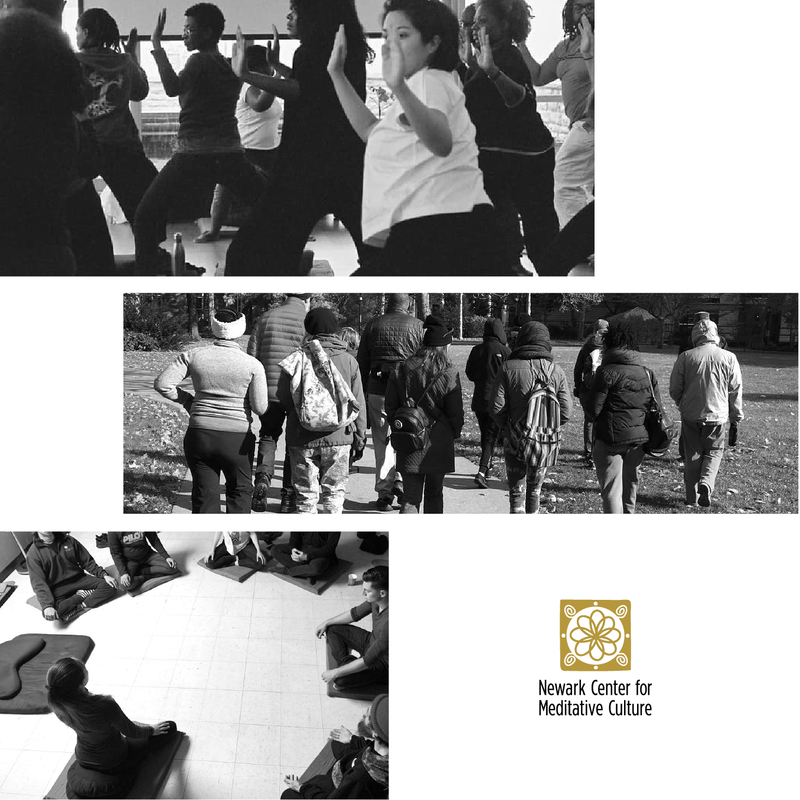 We also want to thank the COOPERATIVE ORGANIZATIONS who invited us in 2018 to present at their programs or held cooperative programs with us, including Greater Newark Tennis & Education, Hikeolution, I’m So Yoga Newark, Louise A. Spencer Community School, Newark Museum, Newark Yoga Movement, NJPAC, Rutgers Law School, Sis & Bro Foundation, Source of Knowledge Book Store, and The Spirit Centered Life. We enjoyed and very much appreciated the teamwork with these community partners. 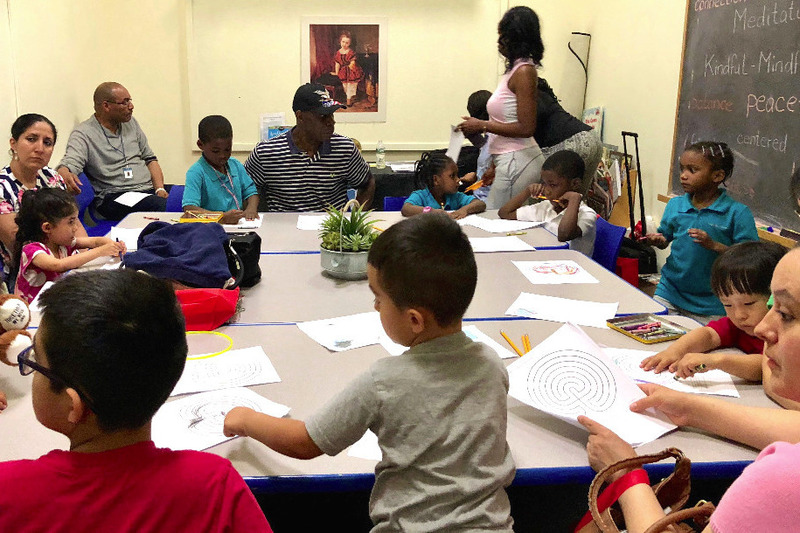 We can’t say enough too about our WONDERFUL VOLUNTEERS who have consistently been patient and provided diligent assistance for us over the past year. We can’t name you all here, but you know who you are! 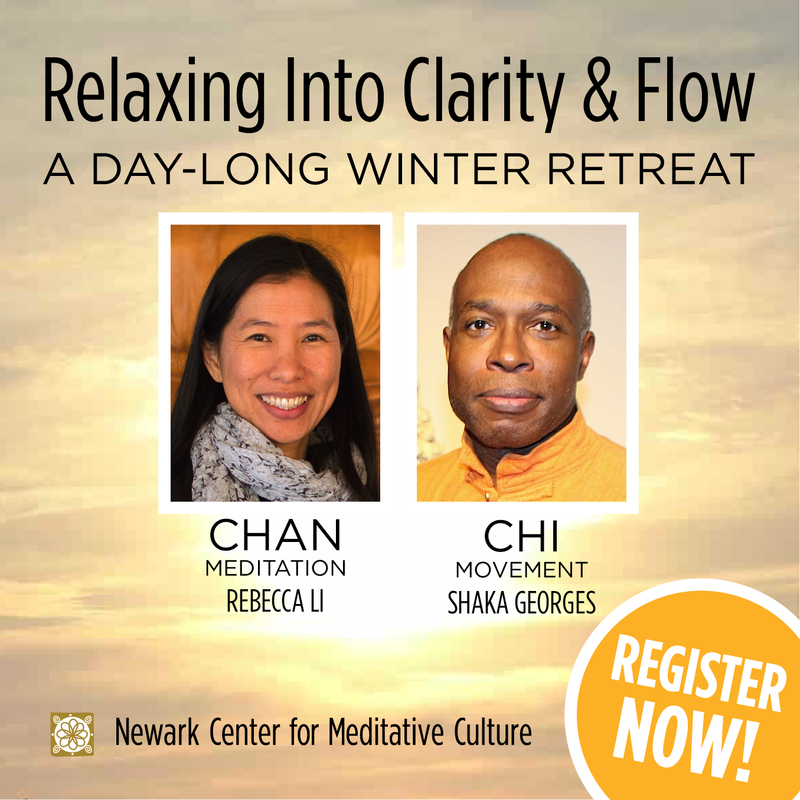 The recipient of this $30 gift certificate will receive a full-day pass to the winter meditation retreat day with Newark Center for Meditative Culture. They’ll enjoy a day out of the cold and into the warmth of a like-minded group. 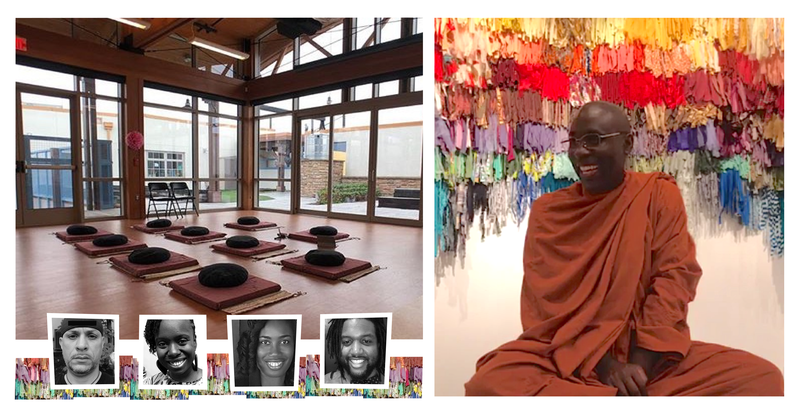 Teacher Rebecca Li will guide the retreatants to relax the mind and cultivate clarity and teacher Shaka Georges will get their bodies into the flow of healing energy through walking meditation and qi-gong. The retreat will also include talks, discussion, and an art workshop. No previous meditation experience required, but the retreat is appropriate for advanced practice as well. Youths under 18 must be accompanied by adults. Breakfast treats and a delicious vegetarian lunch will be included (with vegan and gluten-free options). IMPORTANT RESTRICTIONS: Refunds can only be made to the credit card or account used to purchase. Refunds can be issued up to 30 days after date of purchase. GIFT CERTIFICATE: A letter-size PDF of the Gift Certificate will be emailed to the purchaser within 24 hours from your purchase that can be printed out. 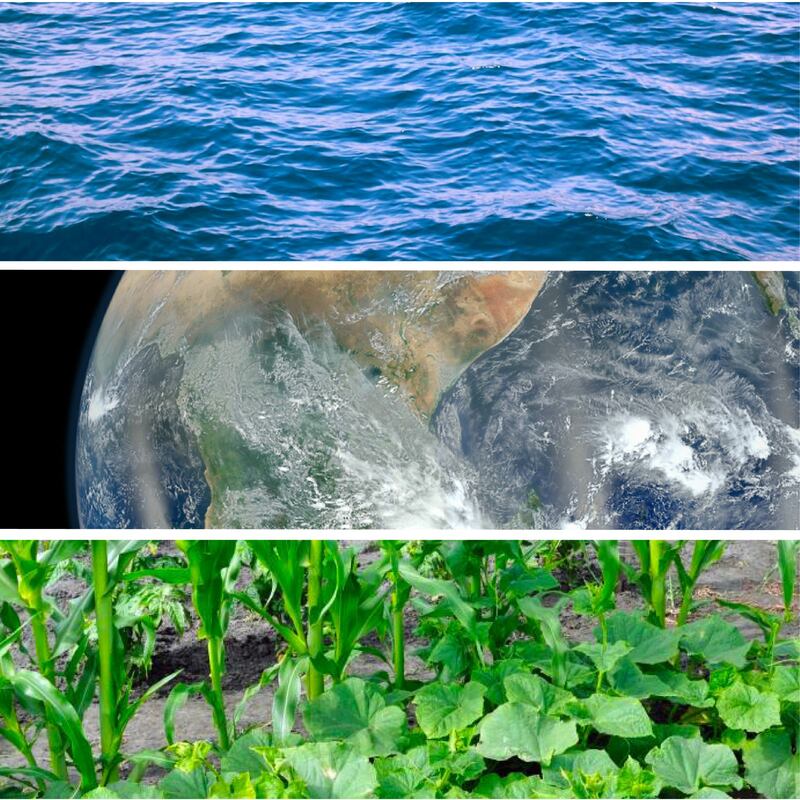 NCMC wishes you a day of abundance or simplicity — and thanksgiving — for clear water, good food, and Mother Earth to sit on! We give thanks to all the waters of the world for quenching our thirst and providing us with strength. Water is life. We know its power in many forms — waterfalls and rain, mists and streams, rivers and oceans. With one mind, we send greetings and thanks to the spirit of Water. For many Indigenous People in the Americas, the triad of corn, beans, and squash is called the Three Sisters. Traditionally grown together, this crop trio are all interdependent on one another. Beans grow up the corn stalks and add the nutrients (nitrogen) to the soil that the others need to grow. Squash is planted in between them to keep the weeds out. These three staples remain the heart of most Indigenous diets and are often eaten in companion with each other. It was a spectacular day on Saturday, November 10th for a hike through a 5.5 mile stretch of Newark NJ. The weather was a bit chilly, sunny, and breezy so we were bundled up. 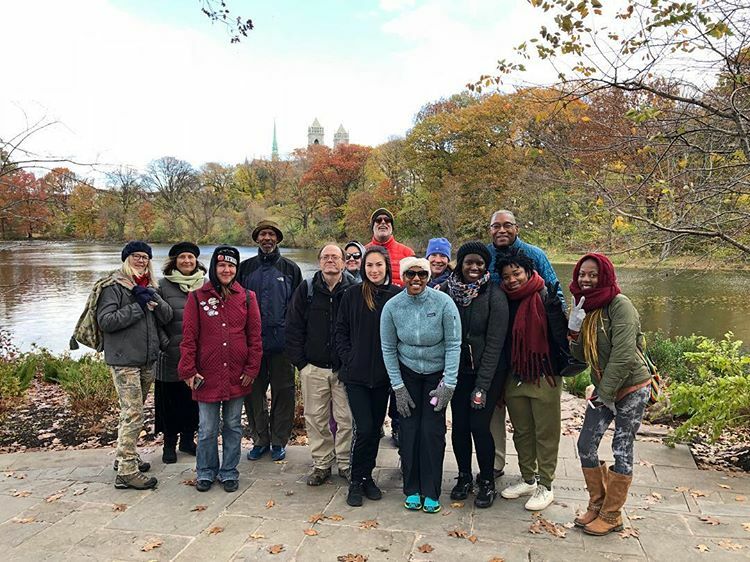 This was Newark Center for Meditative Culture’s first such program, though we have done shorter nature walks and hikes through Branch Brook Park and South Mountain Reservation. This particular hike was held in cooperation with Hikeolution and The Spirit Centered Life. It was also a day of renewal for one of our urban hikers as this was the way she was spending her birthday – and we shared in her renewal. We started off with a prayer for guidance and protection by co-leader Kazi, spiritual director of NCMC, forming a circle around a large tree near the northern corner of Lincoln Park. Walking north on Broad Street for a while, we then entered Military Park, the base for NCMC’s warm season outdoor meditation and tai-chi. Here we picked up a few more hikers. We again made a circle. This time on the Great Lawn where Kazi lead us in a graceful flowing tai-chi movement called Wave Hands Like Clouds. We continued along Broad to Washington Park studying the monuments. A nice surprise participant to our hike was Suzanne Joblonski of Newark Centric City. She gave us an informal and informative tour of the landmarks and background of Newark along the way. We also had two members of the Appalacian Mountain Club join us too — one from NYC and the other all the way from Philly! We learned from co-leader Keyana Jones that we were following the yellow-blazed Lenape Trail of the Lenni-Lenape, indigenous people of this area. She pointed out a marked tree on James Street and we were to continue on this trail through Branch Brook Park. Her associate, Leslie Arthur, described how this trail is 34 miles long. Newark and Millburn are at either end, the trail bowing all the way north just into Passaic County. We continued to make our way, our hike zig-zagging back and forth along concrete and grass, crossing over Route 280 to Branch Brook Park. Following along the blazed trail, we stopped along the way to reflect on the lakes and absorb the colors of the berries in purples, reds, oranges, and golds. Our “great ascent” was to climb the some 25 steps up to a large meadow. Here we practiced a qi-gong standing meditation that Kazi called The Mother, an energy harvesting form that in just a few minutes of practice, the group felt results. Almost there, we sauntered a little while longer close to the cherry blossom groves and crossed over into Belleville at 5.47 miles. Retracing our steps back a little way into Newark, we ended our beautiful and peace-filled urban nature hike. Ideal for healthcare workers, social workers, activists, community organizers, teachers, students, radical artists, and other change-makers. We work so hard to improve the lives of others. Now enjoy a relaxing, intentional day for yourself. Join us to learn season-specific techniques and tools for self-care: stress resilience, immunity boosting, health promotion, and methods to boost your creativity and mental sharpness. Youths aged 8-17 can attend if the guardian can manage them. Venue has wheelchair and elevator access. All attendees are asked to participate in lunch as it is integral to the workshop (unless you are fasting). Menu will include vegan, lacto-ovo-vegetarian, and gluten free vegan food. You can brown bag it if you have unique food allergies or specific food requirements. If you’d like to help before, during, or after the program please let us know when you register. Or, if a family member would prefer to volunteer rather than participate, that’s okay too! Please no phone calls to the venue. Call NCMC at 862-227-3288 with inquiries or preferably by email at info@newarkmeditation.org. Hippocrates, in teaching the doctors of his day, said, “Consider the seasons of the year and what each of them produces.” When you respect the seasons you will respect your body, mind, and spirit and their needs. Based on chinese medicine the fall is the season of the element of metal and lung and the lungs are associated with sadness and grief. 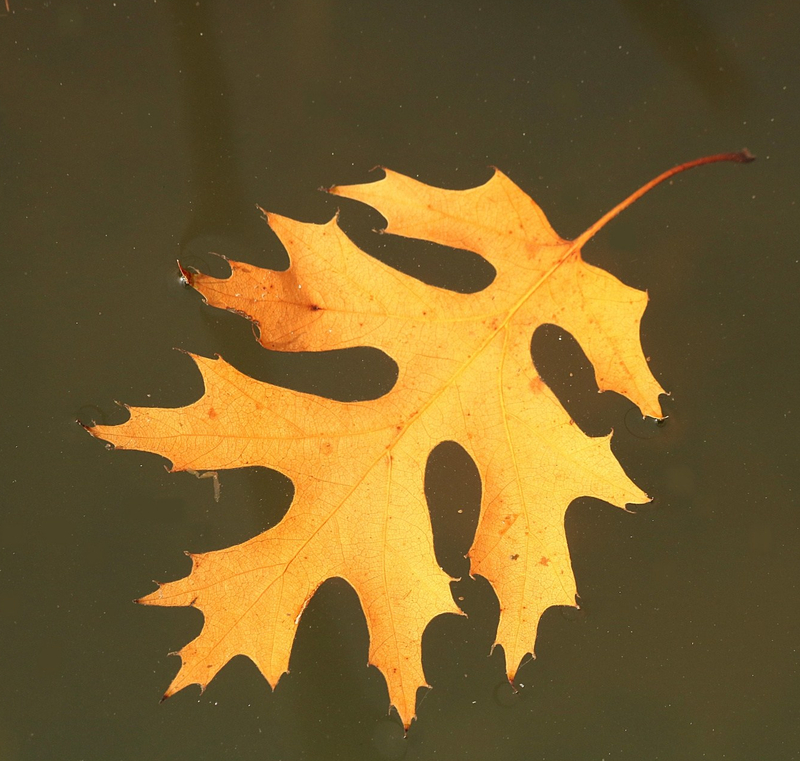 We move from the external, expansive nature of summer to the internal, contracting nature of fall. 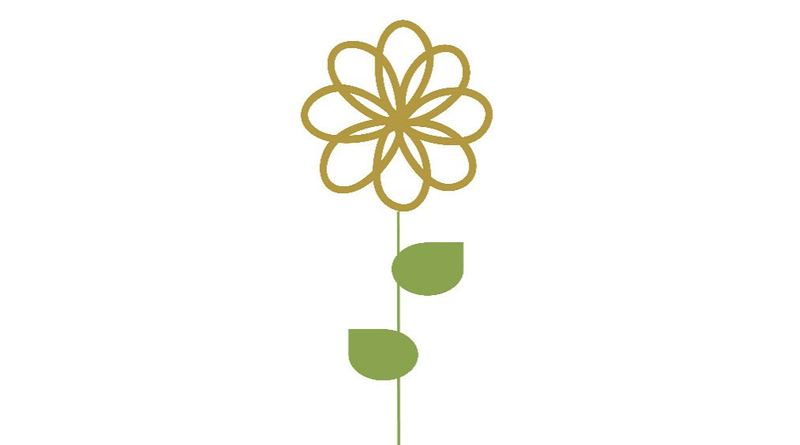 Through specific meditation and mindfulness skills — stationary, movement, eating, sound, and all our sense organs — we can learn season-specific techniques and tools for self-care: stress resilience, immunity boosting, health promotion, and methods to boost your creativity and mental sharpness. We can also develop insight into the constantly changing, impermanent nature of our bodies and minds and learn to let go. 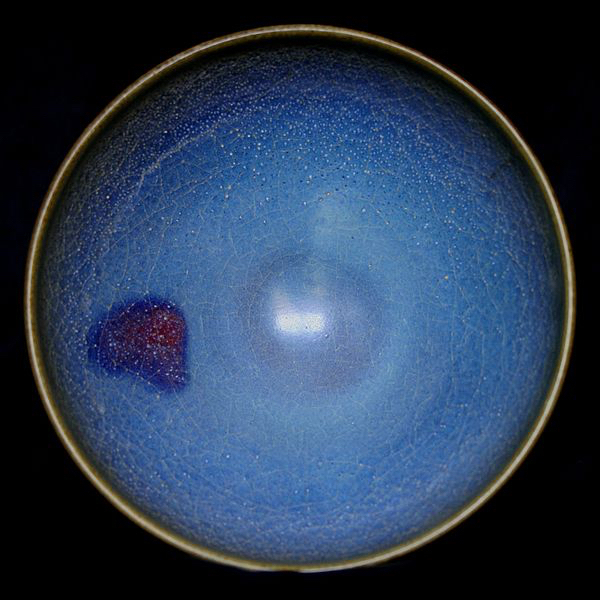 In fact the energy of the lungs is related to “letting go” — first remembering our breath, using our breath, relaxing our breath — then becoming aware and allowing the elements and nourishment to inform us. 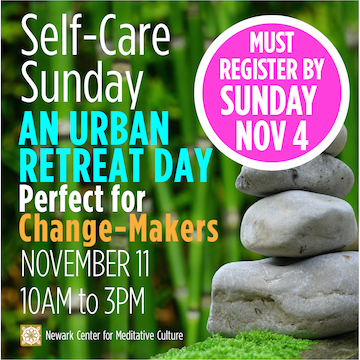 Learn more on Sunday, November 11, 2018, when we hold a workshop Fall Back into Self-Care: Meditation, Movement, and Medicine for the Season. This 5-hour workshop is kid friendly for those youths who might like to practice with us. Learn the basics of meditation and mindfulness and how it can reduce stress — from school, peer, and parent pressure for students to the ups-and-downs of daily living that most of us experience. To be instructed by Jennifer Becher of NCMC. A program appropriate for both students and the general public. A free community service program of NCMC in cooperation with Rutgers University B&N Book Store. 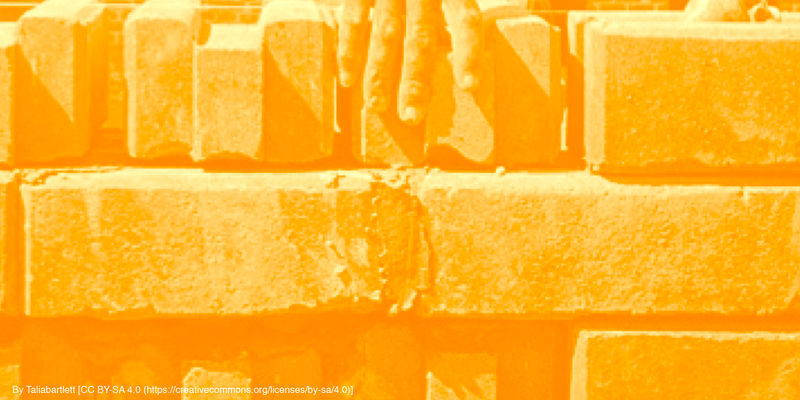 Artisan Collective – Barat Foundation – Bateman & Associates – Greater Newark Tennis & Education – Hikeolution – I’m So Yoga Newark – Ironbound Community Corporation – Newark LGBTQ Center – Newark Museum – Newark Yoga Movement – NJPAC – Rabbit Hole Farm – Sis & Bro Foundation. Rutgers Law School – Rutgers Bookstore – Louise A. Spencer Community School – Technology High School. Million March NYC – Buddhist Global Relief NYC Walk to Feed the Hungry – 300.org People’s Climate March – Clean Energy Walk Phila. (w/NJ group) – Buddhist Council Meditate NYC & Peace Lantern Festival. 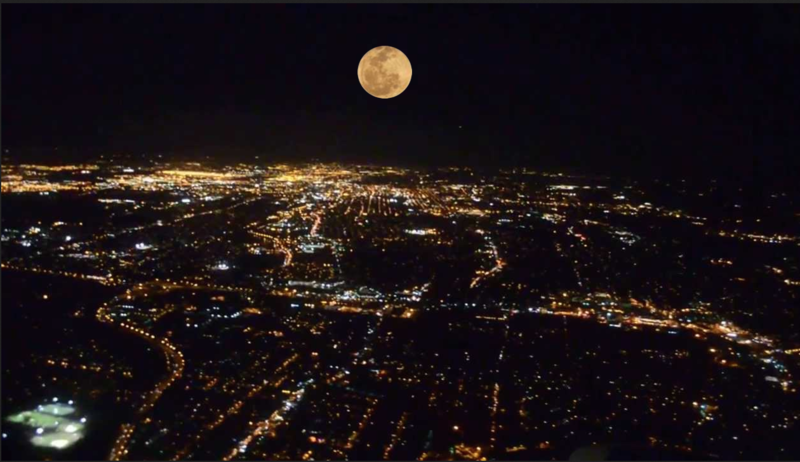 Index Art Center – City Without Walls Gallery – Seed Gallery – Military Park Partnership – Ironbound Community Corporation (current). What are our immediate needs? – Bookkeeper $16-20 per hour at 1 hr a week approx for yr.
– Accountant for tax return and quarterly filings for yr.
A free community service program of NCMC in cooperation with Military Park Partnership Summer Programs. New Location, New Time, New Day! 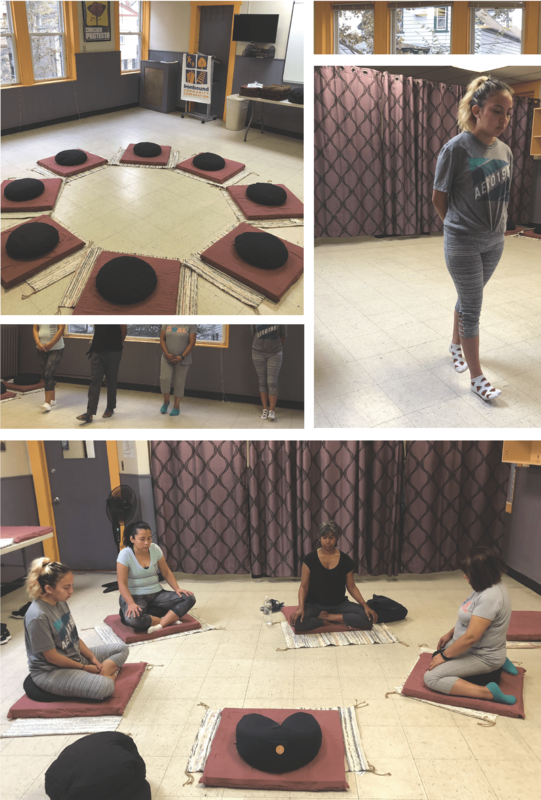 Above: On September 20th, we had three english-speaking students and one spanish-only and our meditation circle was ready to go. Mindful moments of students practicing walking and sitting meditation. But wait, where’s the men? Donde esta los hombres?! Oh, he’s taking the picture! In these on-going weekly meditation classes with NCMC instructor J. Javier Cruz and assistant Jennifer Becher you will learn basic meditation and how to apply mindfulness in daily life to live with more ease, more joy, and less stress. Sessions include meditation, light yoga stretches, readings, and discussion. You are welcome to join in at any time. Translations to Spanish and Portuguese as needed. 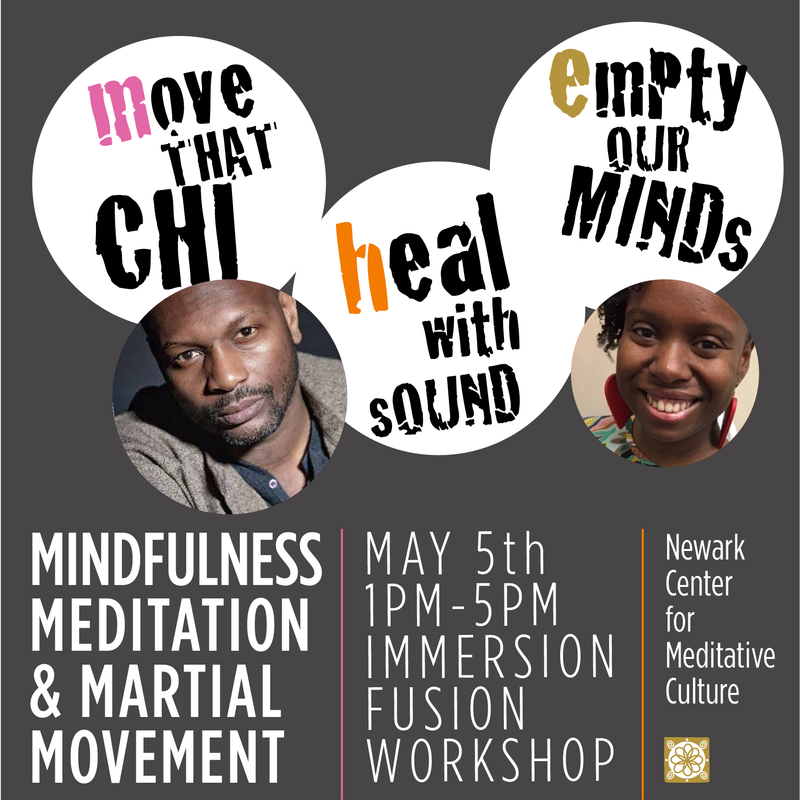 Contact us at info@newarkmeditation.org for more information. We wanted to share a few glowing comments and lessons learned through our people of color retreat that we held on Sunday, September 9th. 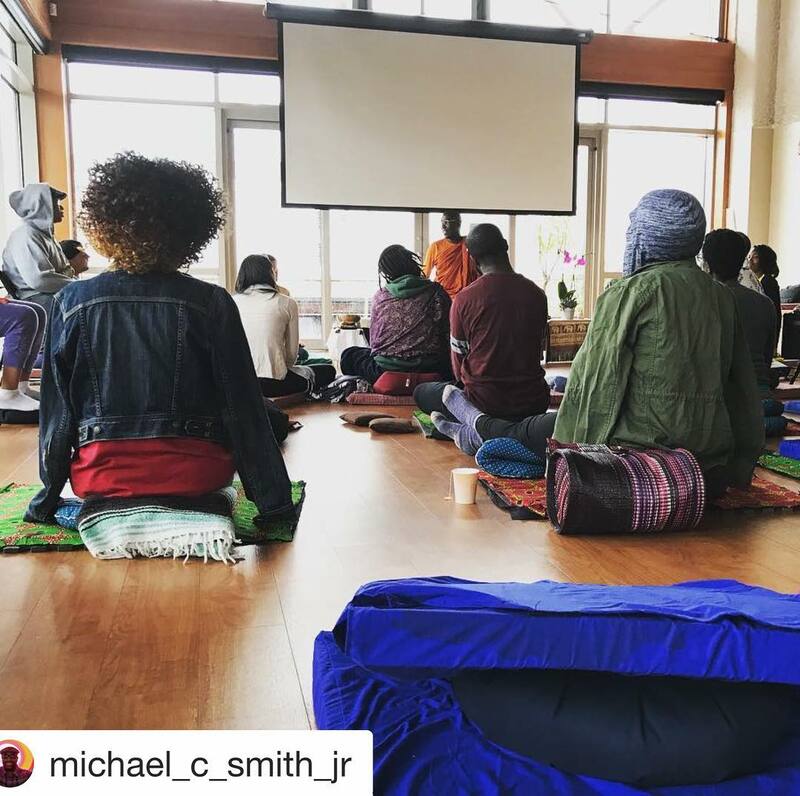 The retreat packed a variety of methods in exploring how to cultivate wisdom and compassion to heal our community. 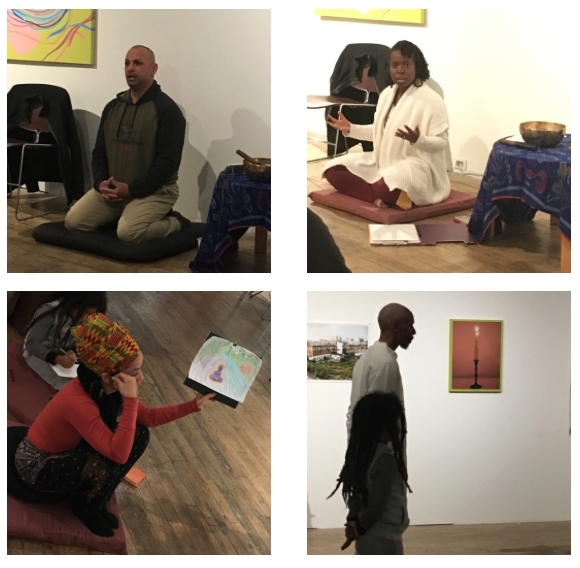 drea led a yoga session, Kamilah led the dyads, Javier gave a dharma talk, Mesha did a reading, and Ihsaan emceed. 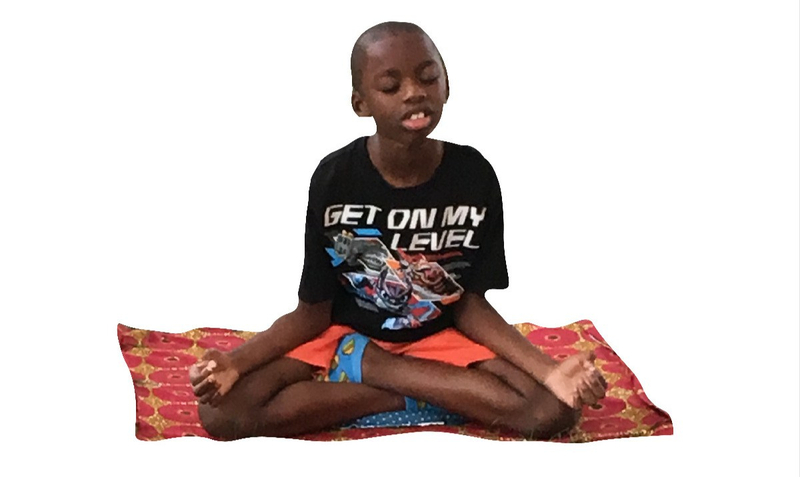 Bhante also presented a 7-minute video of compassion in action showing his center’s local humanitarian projects in Uganda that will warm your heart — including constructing water bores, peace school for children, a women’s empowerment project, and an orphanage. Attendee Jillian Faulks-Majuta of Majuta Wellness, especially was grateful for the discussion on how to cultivate compassion and wisdom and thought it was right on time for her. Here’s what she says she took away: 1) Start with ME. Be more compassionate with myself as I continue on this journey. ; 2) Think of compassion as I continue to mother my youth and other living beings/things along my path. ; 3) Practice, practice, practice as the wisdom will come as I continue to grow. Well said! A few days later, she added that after the retreat she has been more mindful, especially with her children, doing 2 minute meditations before bed each night and even a little before school in the morning. After attending our day-long, Mia Sikes, director of a meditation and yoga studio in Los Angeles posted, “I love Bhante! 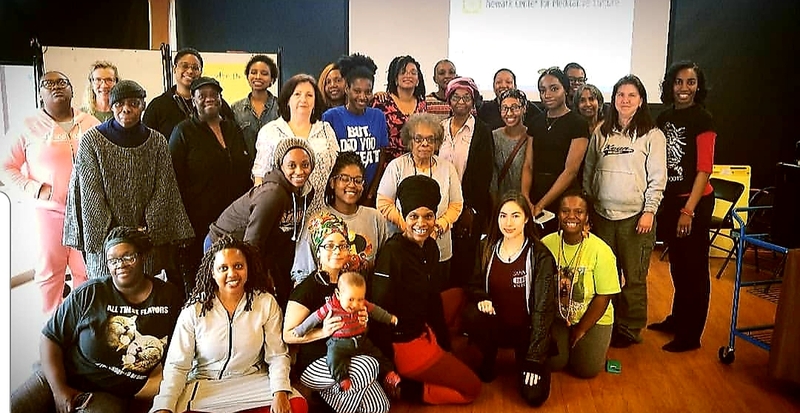 Filled my toolbox with teachings that a sista can work with!” She had plans to then attend a 6-week retreat that he would be co-teaching in Massachusetts that started last week. We received a text (sign of the time) from Bhante saying that it was a “wonderful retreat” and “Bravo!” We’re so glad to hear that from the teacher! We are as always grateful for the delicious fresh vegan meal catered as dana by Arelis Hernandez, farmer/founder of Rabbit Hole Farm. During the weekend, Kevin Porter, director of the Farm, attended to Bhante’s needs and served him at the retreat. The couple hosted him at their residence for the weekend. Much thanks goes to our retreat volunteers Mary, Jennifer, Elvis, Venus, and David who quietly and efficiently got the job done before, during, and after the retreat and for the generous and patient support given to us by the Ironbound Community Corporation, especially that of Mayra Ramirez, COO there. It was an exceptional weekend that began with the Farm Program on Saturday morning and the Book-Signing Event for his two books that evening. 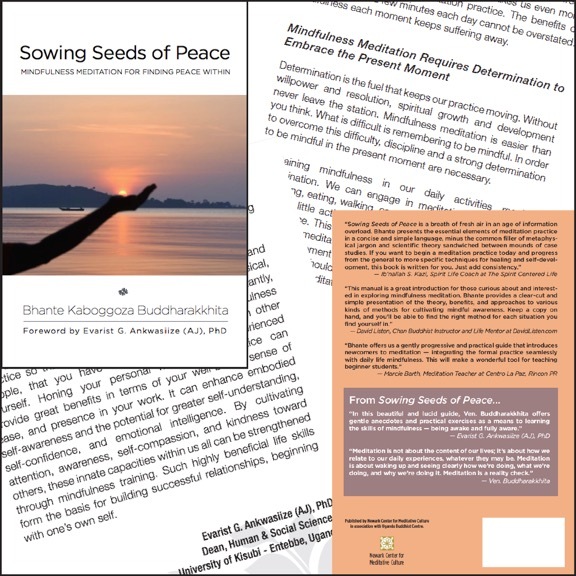 Planting Dhamma Seeds, Bhante’s spiritual journey, and Sowing Seeds of Peace, a meditation manual, are the first books published by NCMC. 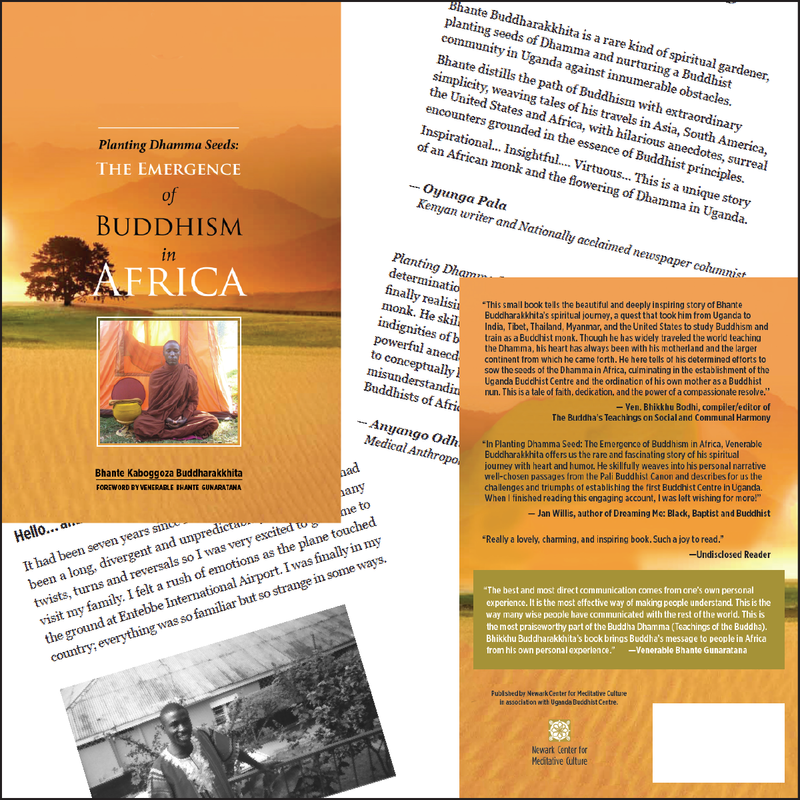 They were published in association with Uganda Buddhist Centre and though they were not the first editions, they are the first editions to be published in the United States! They can be purchased through Amazon at the links above. We hope to have Kindle versions available as well. We feel very blessed that Bhante took the time to teach and spend the weekend with us during his busy U.S. teaching schedule. As we watch the weather storms Tropical Storm Isaac, Hurricane Helene, and the incredibly threatening Hurricane Florence, we can use the parallels of our mind storms. If we’re mindful-and-aware, these mind storms clue us in to their coming. When we catch ourselves in the middle of a mind storm we realize we weren’t attentive to the warning signs. These signs usually come in the small voice of self-talk, either mental or verbalized, that is negative or irrational. On the other hand, we need to be kind to ourselves, even amused at some of our sillier mind storms. 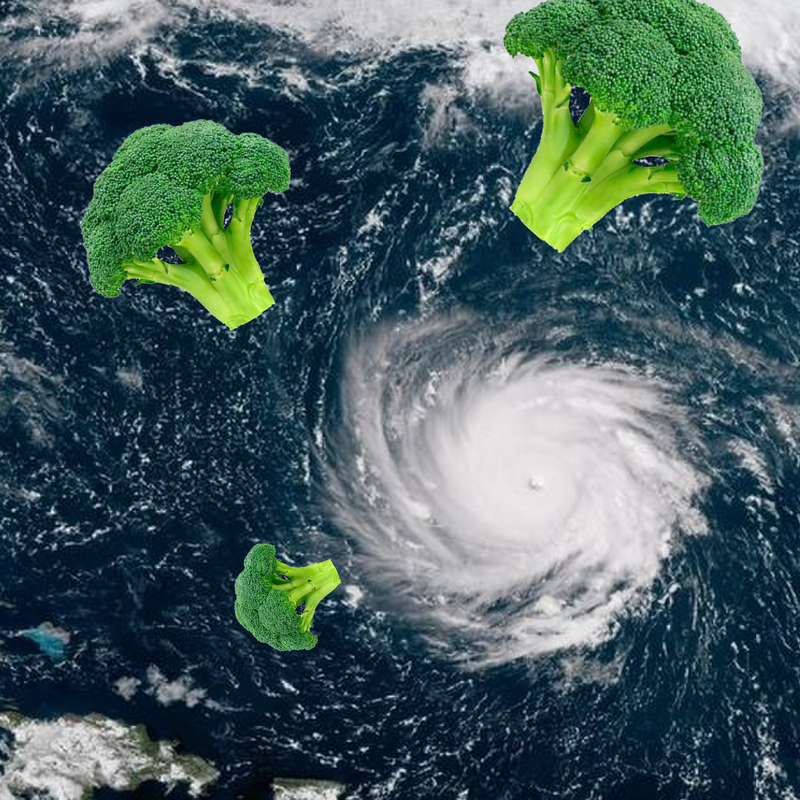 A humorous example comes from an excerpt of a book by meditation teacher Sylvia Boorstein where she describes The Broccoli Phenomenon that occurs at retreats. She based it on the many meditators who become agitated at being served ubiquitous and often unappreciated broccoli and their ensuing mind quotes such as, “When I get home, I’m sending them a collection of good cookbooks!”, “If they are determined to serve so much broccoli, they could at least cook it separately, as a side dish!”, and “I guess I’ll put the stew over the rice and pick out the broccoli. I hope they don’t do this to me again!”. With mind storms, we can choose to distract our minds with positive thoughts until it calms down or we can choose to watch the mind storms objectively from a mental distance, watching them come and go. We use right effort to not react by feeding them more energy caused by habitual negative thinking, impulsive reactions, and even liking them as your act. Similarly, different people choose different ways to prepare for weather storms. Some leave the area while others stay in the area, safeguard their belongings, hunker down in a shelter, and watch and wait. Each of us approach our storms based on our conditions and relative perceptions. Given the right conditions a mind storm thunders in and takes over before you know it. When it clouds your whole mind it can sometimes be hard to get out of. Both the cause of the mind state and the mind state itself have become unrecognizable. But, we can develop many mindfulness and meditation skills to get out of them and prevent them from gaining strength. Given the right conditions a weather storm thunders in. We may not seem to be able to do much about them, but perhaps we can help as much as we can to gradually weaken their effects through our consumer habits, climate change advocacy, praying for those in danger, and making repairs. Marcie Barth is chairperson and co-founder of Newark Center for Meditative Culture currently teaching there and at Centro La Paz in Puerto Rico where she resides. The act of saying grace over a meal and of blessing the dinner table are sacred rituals practiced for millennia across the globe. From Ghana to Burma and all the way to the Netherlands, human beings incorporate the daily act of eating into their personal and collective spiritual lives. The blessing of the meal is a time for giving thanks. Prayers may be directed to a supreme being, to ancestors, the earth or whatever spiritual agency is believed to be of assistance in securing sustenance. Sometimes family members, employees and employers are thanked for the part they play in sustaining an individual or household. 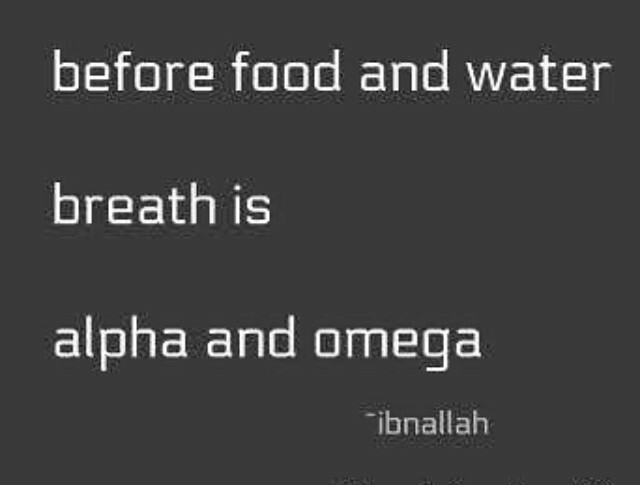 Still a concern for many to this day is the healthiness of a meal they’re about to eat. Invasion of the body by food-born pathogens is a threat that challenges human beings daily. Therefore, some cultures may include request that the meal be allowed to provide strength and vitality — or at least be rendered free of harm. Not to be overlooked is the impact upon the psyche of that moment of silence when one’s head is bowed and gaze lowered in recognition of our mutual dependence upon all we consider powerful, holy and beneficent. 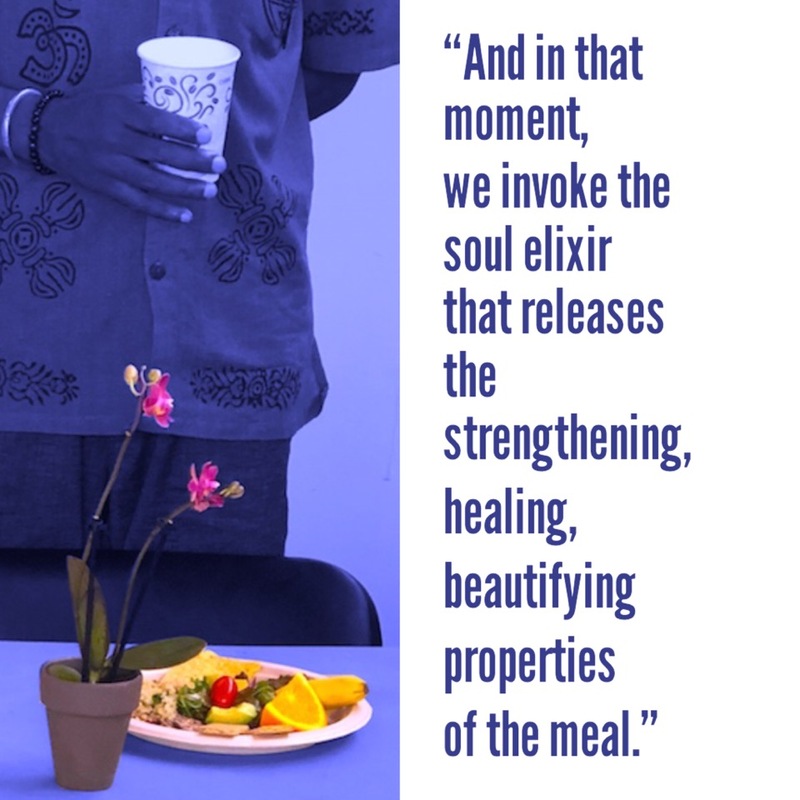 The few seconds taken to reconnect to the part of us that remains in constant connection with the Unseen Real opens a “spiritual moment.” And in that moment, we invoke the soul elixir that releases the strengthening, healing, beautifying properties of the meal. We can use the tradition of saying grace as a “conscious opportunity” to create more of those spiritual moments in our day. We don’t have to limit our spiritual practice to being locked away in a specially outfitted room with dimmed lighting, lots of plump pillows and scented candles. 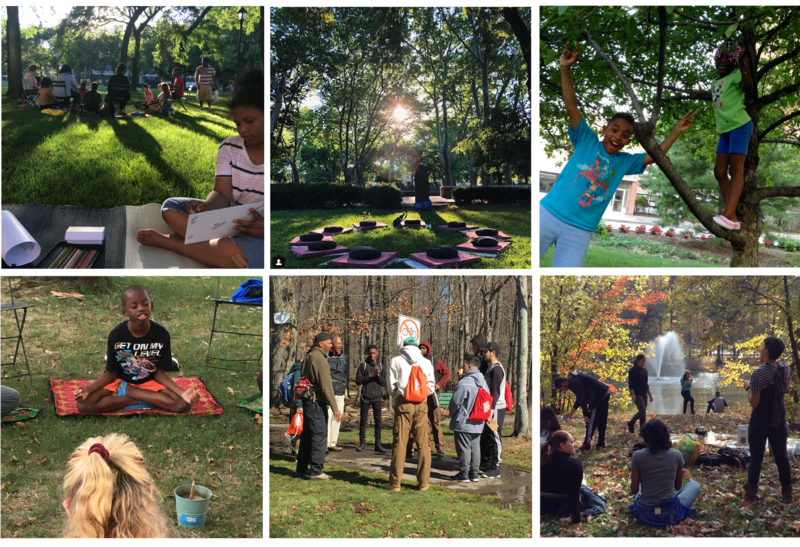 Let’s bring our practice into our “common spaces” — with their sounds and scents of life at its core. First we take back the kitchen, then the toilet, then the garden. Ib’nallah S. Kazi is the Spiritual Director of Newark Center for Meditative Culture and a Spiritual Health & Wellness Coach at The Spirit Centered Life. One of the very first practices of meditation, if not the first, is Attention to the Breath. OVERVIEW: The purpose of this course taught by Ib’nallah S. Kazi is to help you move beyond settling for the explanation of meditation, into the experience of meditation and a consistent practice. Meditation is something that you have to practice and make a part of your life. You will come to understand what Meditation Medicine means and why meditation is medicine. A Course of The Spirit-Centered Life held in conjunction with Newark Center for Meditative Culture. We’re Out in the Community! Presenters Javier Cruz and Jennifer Becher led a Pre-lunch Parent/Teachers Meditation & Mindfulness Session at Technology High School. It turned out to be a small group, but sometimes that’s good for the students as they get more direct and personal attention. 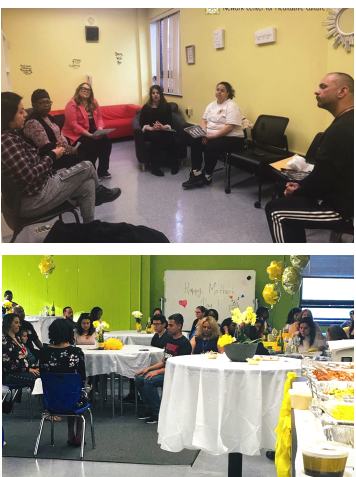 Presenter Kamilah Crawley led a pre-program guided micro-meditation at the Technology High School Mother’s Day Dinner to a group of about 30 people to start the program off with a zen moment! She reported that the buffet and decorations were lovely — quite accurate from the photo pictured below. 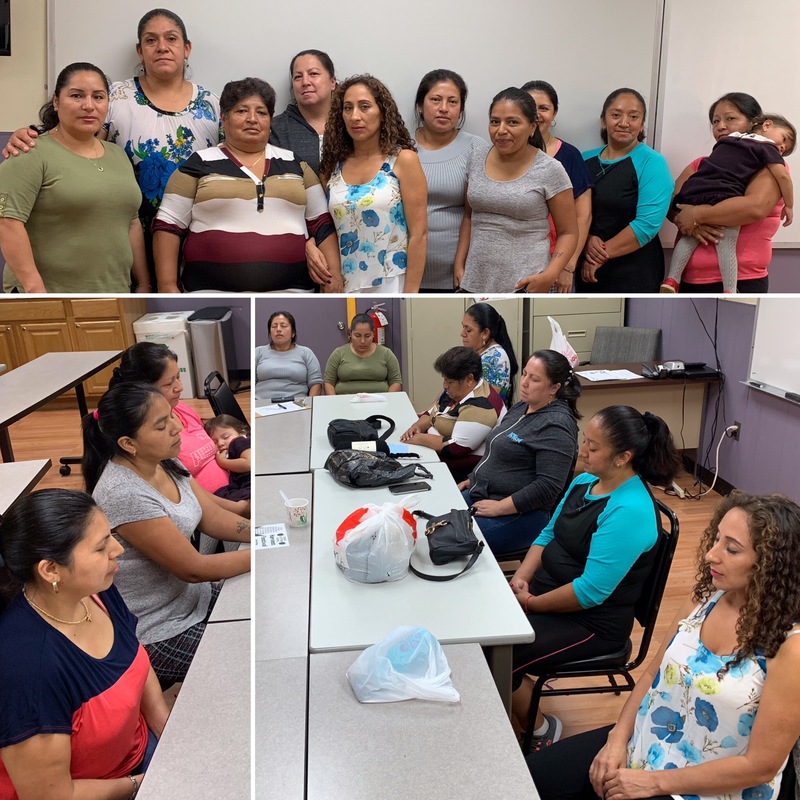 A Meditation & Mindfulness Workshop for the Mujeres Activas of Ironbound Community Corporation was taught by Marcie Barth. It was a two-hour workshop engaging the women in various means of meditation, mindfulness, and contemplative critical thinking. 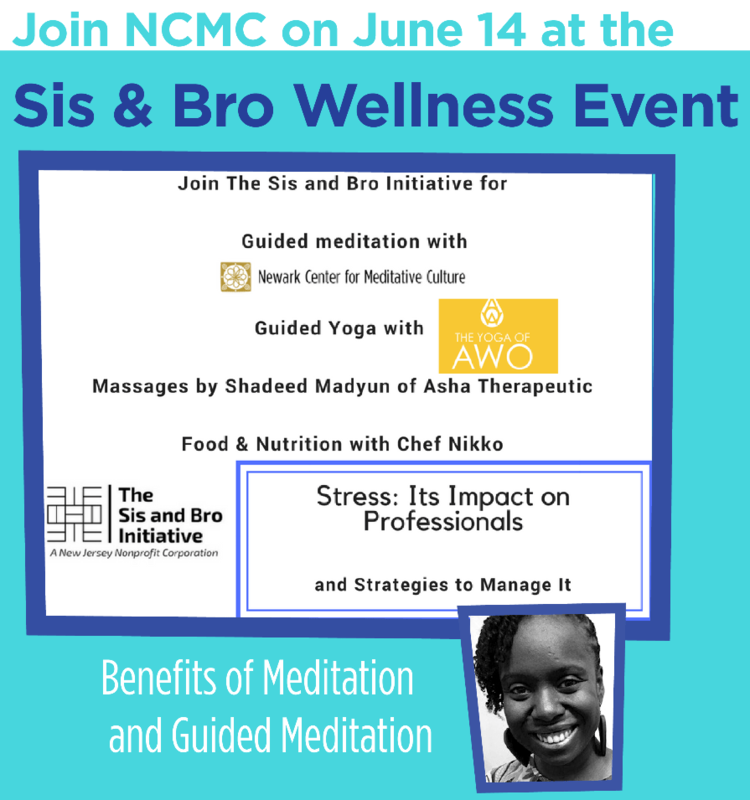 NCMC has been invited to give a short presentation and guided meditation that will be provided by Andrea Lee shortly after the start of the event. We’re happy to be included to support this program! Presenters Ihsaan Muhammad and J. Javier Cruz will be sharing two brief guided meditations at NJPAC’s Wellness Fair to be held for their staff only. We think their can be more contentment and even happines at work and we understand the medicinal healing values of meditation. 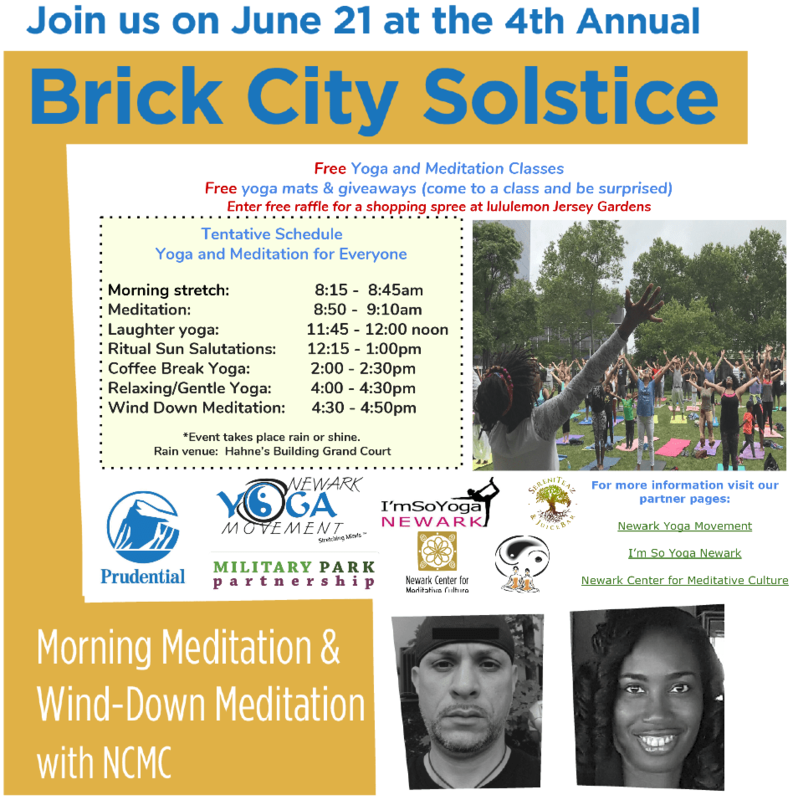 We are grateful to be invited to participate in this free annual event for the third year in a row, planned by our friends at Newark Yoga Movement. NCMC will provide two meditation sessions, a Morning Meditation with J. Javier Cruz and then Kamilah Crawley leading a Wind-Down Meditation toward the end of the day. Join us for a day with a Sizzling Soul Group on Summer Solstice! Step 3: Practice what you’ve learned in these videos for a week. 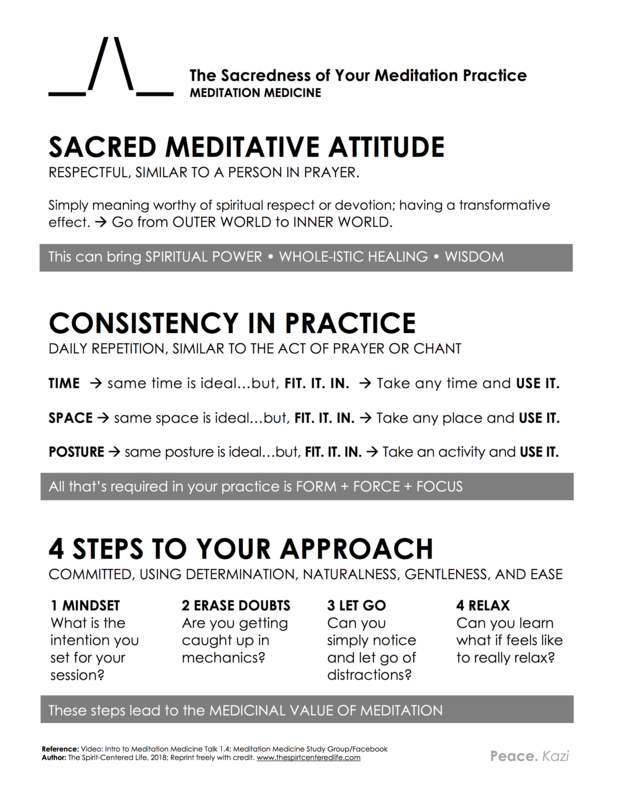 Then go to Lesson 1.4: Self-Healing Meditation Medicine. 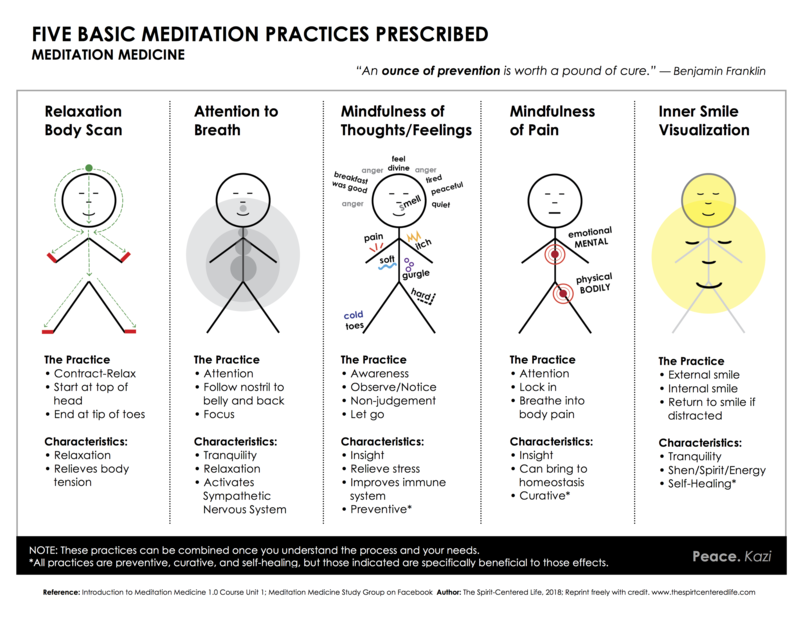 Additional Resource: Infographic 1.3: Basic Meditation Practices Prescribed. Step 3: Practice what you’ve learned in these videos for a week. 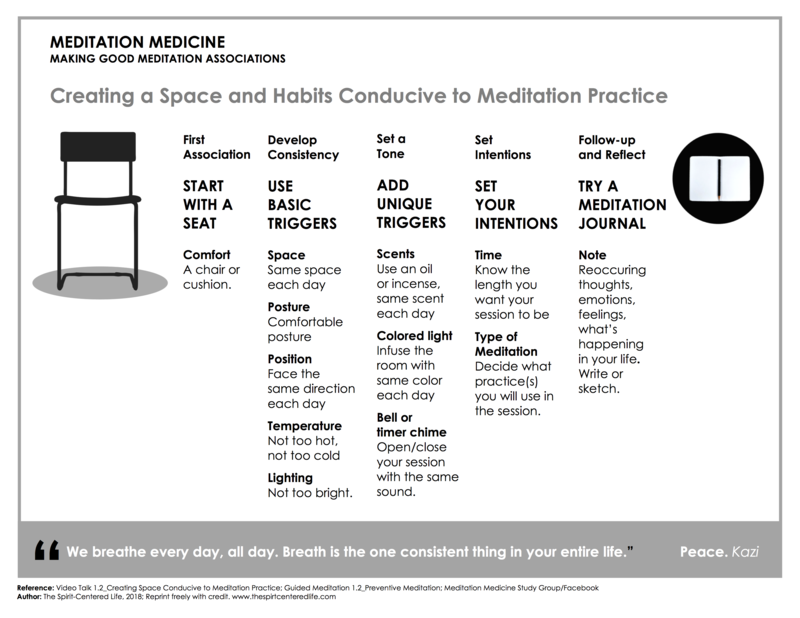 Then go to Lesson 1.2: Preventive Meditation Medicine. 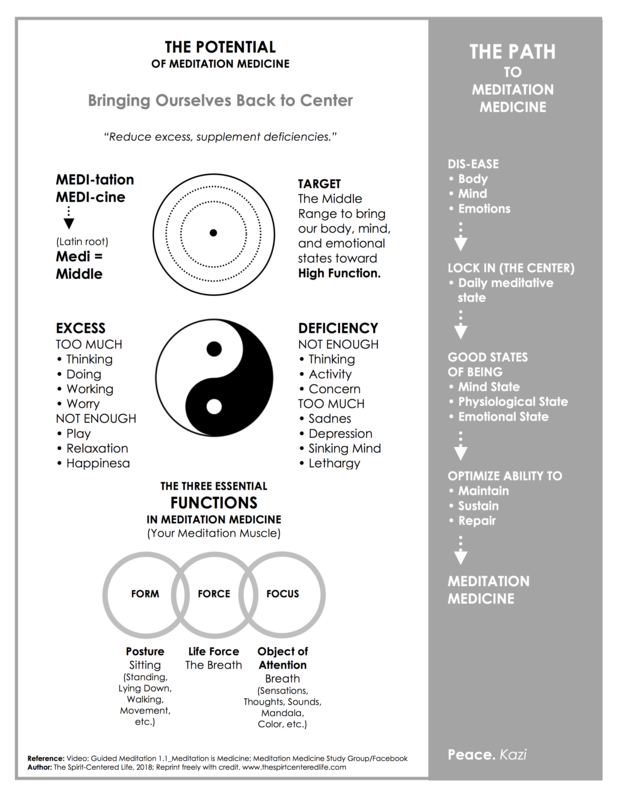 Additional Resource: Infographic 1.1: Bringing Ourselves Back to Center. A peaceful way to start your Sundays. 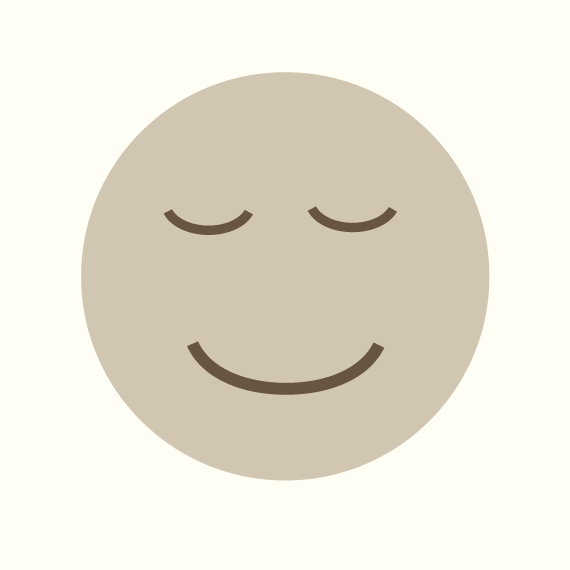 Learn and practice the basics of meditation and mindfulness. 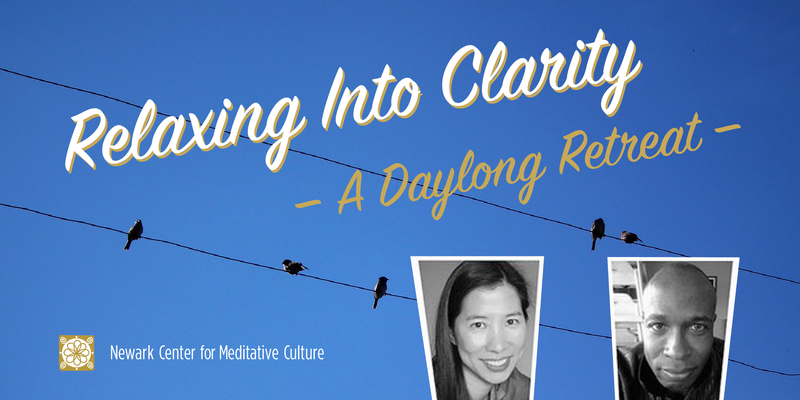 It’s a workshop appropriate for simply the curious, beginners, and intermediate meditators. Experienced? You’re welcome to come and brush up with a group. 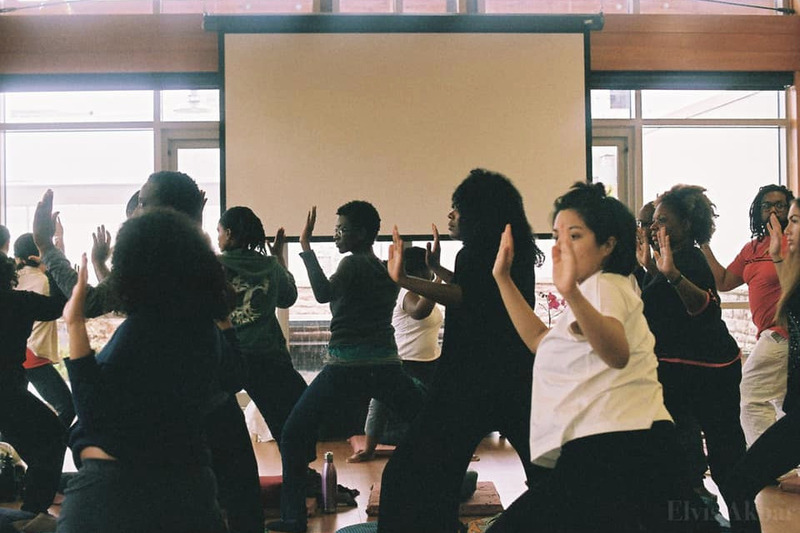 Instructors Andrea Lee and Kamilah Crawley of Newark Center for Meditative Culture will co-teach the classes. Come for all four sessions or come as you can, though we recommend a commitment to attending all four workshops to benefit yourself the most. Contact us at info@newarkmeditation.org with any questions. ISYN Fee: $10 per session. An I’m So Yoga Newark fee-based sponsor program held in conjunction with NCMC. An ISYN fee-based sponsor program held in conjunction with NCMC. Aprenda prácticas básicas de meditación y atención plena con Newark Center for Meditative Culture (NCMC) que pueden ayudarlo a reducir el estrés en su vida y darle más tranquilidad. Estas clases básicas de meditación y mindfulness son impartidas por NCMC profesor, Javier Cruz. Las clases incluyen meditación guiada, estiramientos de yoga ligero, caminar atentamente, charlas con el maestro y preguntas y respuestas. A los estudiantes se les asignan tareas opcionales de atención domiciliaria fáciles y opcionales. Lo mejor es asistir a la serie completa, pero ven lo que puedas. Sin embargo, no hay walk-ins. DEBE registrar su nombre, email, y ciudad una vez antes de asistir. Registrarse en info@newarkmeditation.org. 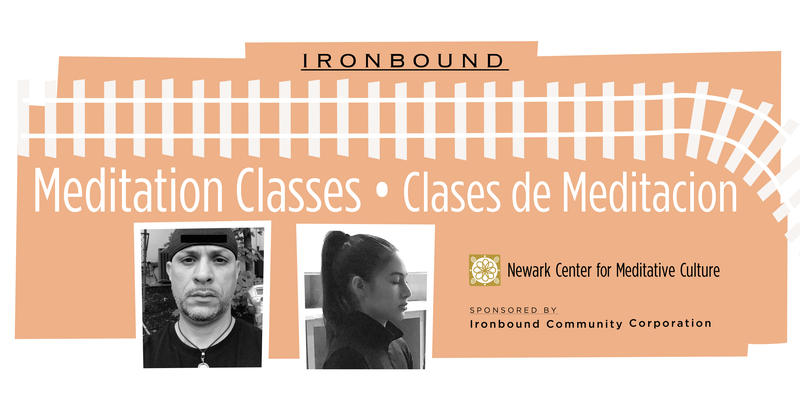 Un programa de servicio comunitario gratuito con NCMC patrocinado por Ironbound Community Corporation. 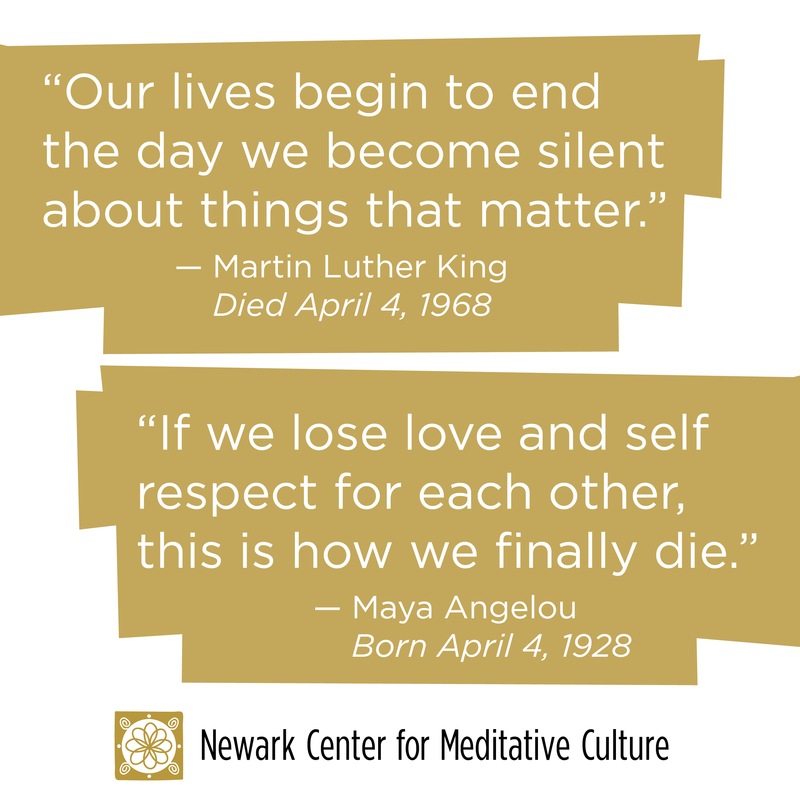 This spring session of 10 classes with Newark Center for Meditative Culture (NCMC) will have a focus on loving-kindness (metta) meditation practice. These continuing meditation and mindfulness classes are taught by NCMC teacher, Javier Cruz with assistance by Jennifer Becher also of NCMC. The classes include guided meditation, light yoga stretches, mindful walking, teacher talk, and Q&A. 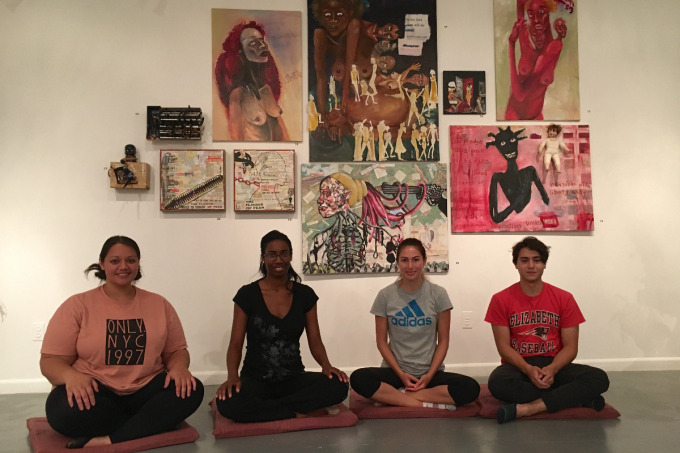 We’ll enjoy one class with an Art as Meditation Workshop. 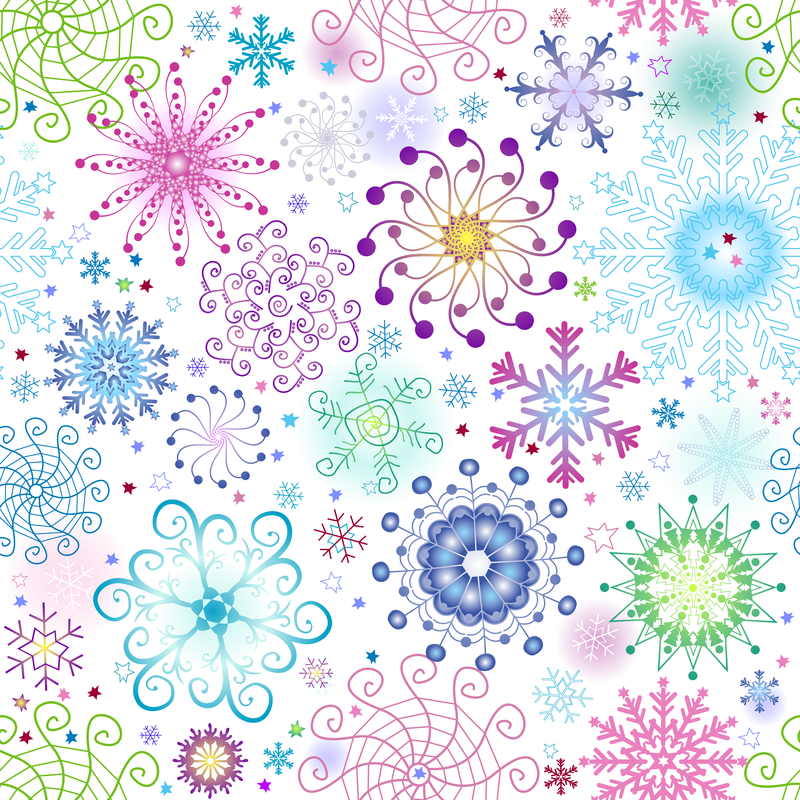 Students are given easy, optional home-mindfulness assignments. Parents/guardians are welcome to bring teens. It’s best to attend the entire series, but come as you can. However, there are no walk-ins. You MUST register your name, email, and city one time before attending. 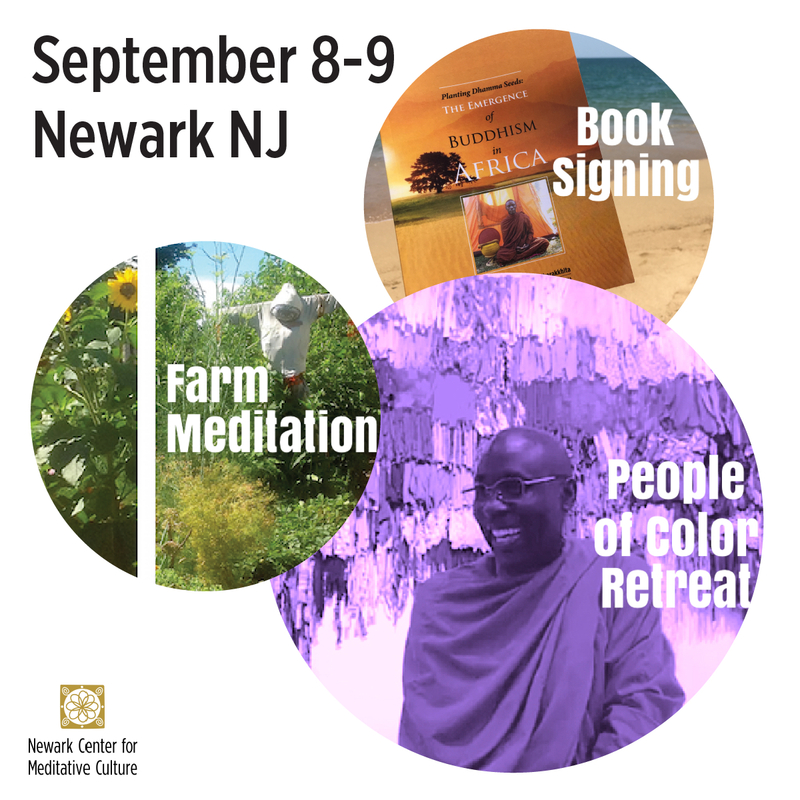 Register at info@newarkmeditation.org. 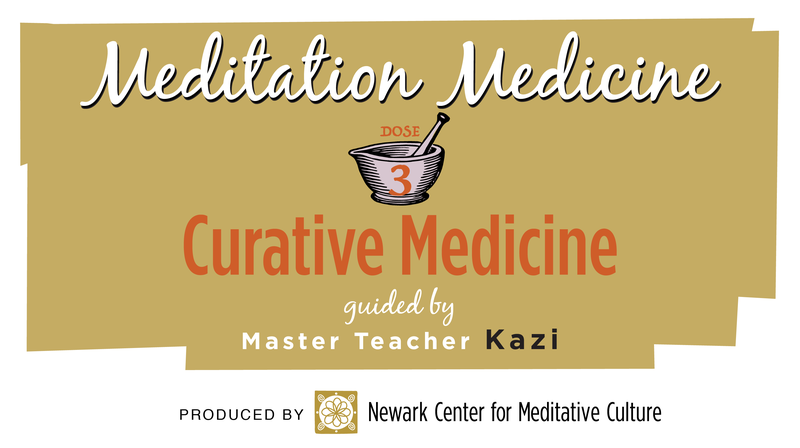 Held in conjunction with Newark Center for Meditative Culture, this 4 part lesson is exclusive to Meditation Medicine Study Group Members and will be held on Tuesday evenings, April 3rd, April 10th, April 17th, and April 24th. The lessons will include live web talks, pre-recorded guided meditations, discussion, consultation, and some home assignments. Become a member of the Meditation Medicine Study Group on Facebook with Master Teacher Kazi of The Spirit-Centered Life. IF YOU CAN’T MAKE THE LIVE SESSIONS, STUDENTS WILL HAVE 24 HOURS TO VIEW THE RECORDED SESSION. As the practice of meditation becomes more mainstream with each day, the opportunity to begin a meditation practice often remains stymied by a lack of time, energy or just a lack of knowledge on how and where to begin. It is our wish that this series of teachings contributes to removing these obstacles to your meditation practice. • Four pre-recorded guided meditations that you can download and play at your convenience. • Question and Answer on the material covered in the course via the group forum. 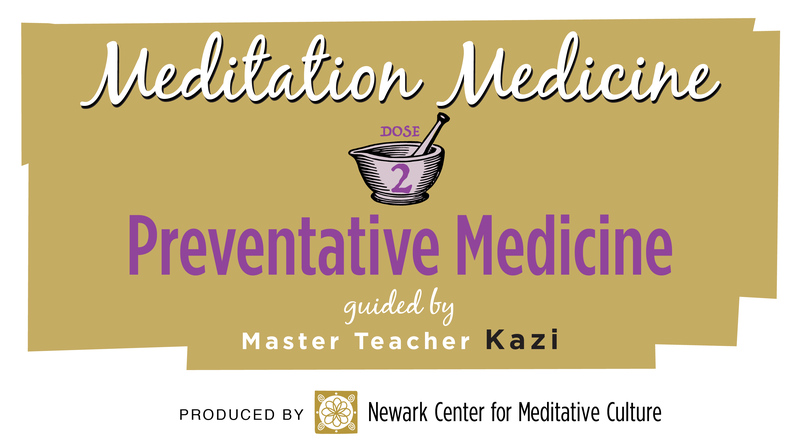 • Optional twenty-minute consultation with Kazi concerning your meditation experiences, insights, challenges, etc. via email, phone, or skype. • A group of kindred spirits to share your meditation medicine journey with. Registration available only once you have become a member of the Meditation Medicine Study Group. Ib’nallah S. Kazi (Kazi) is a Las Vegas-based spiritual wellness coach, medicine movement, and meditation teacher. He places an emphasis on wellness and personal development through his own program, presently known as The Spirit-Centered Life. Kazi has had a committed meditation practice for over 30 years and applies many disciplines. This includes Taoist, Sufi and Ancestral Meditation Medicine. Kazi has built a diverse education and training. His adolescent rites of passage began in 1974 when he became a Five Percenter, a splinter group from the Nation of Islam. 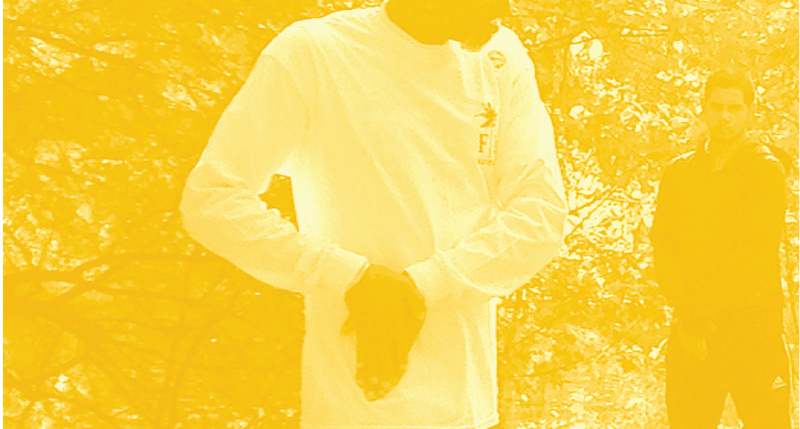 Kazi has trained in and developed his internal martial medicine skills, teaching both Tai Chi Chuan and Yara Mba. He was the co-founder of the Harriet Tubman Hiking Society established in 1988 to immerse the African-American community back into nature. He integrated fitness training and massage becoming certified as a Health-Fitness Trainer and as a Massage Therapist that included Royal Thai Medical Massage. He also became a certified Intrinisic Coach. 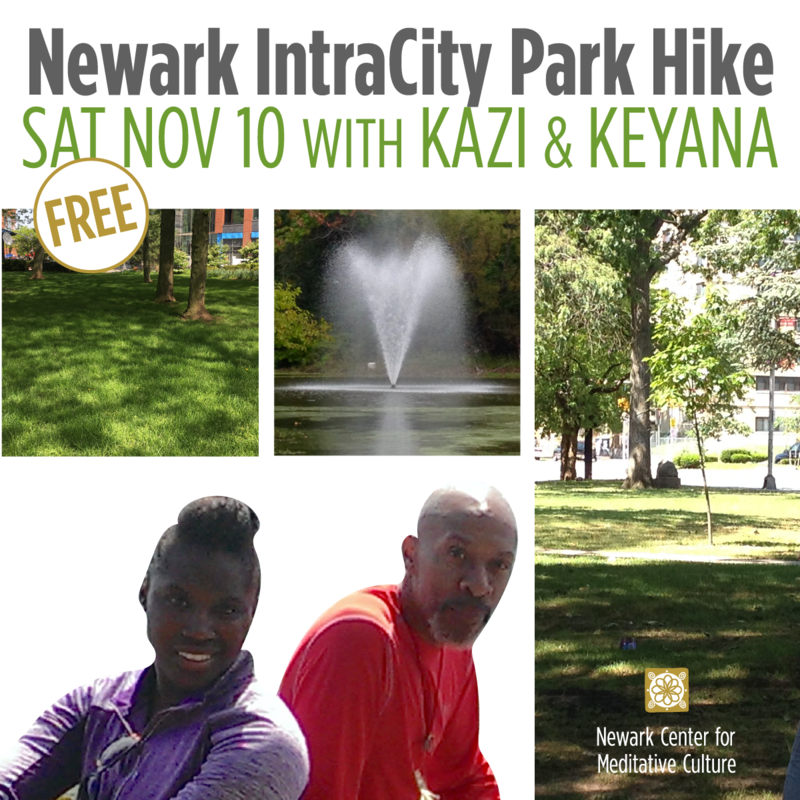 Kazi was until 2017 based in Newark NJ for 13 years where he remains on the Board of Directors of Newark Center for Meditative Culture, serving as the Spiritual Director and Lead Teacher. 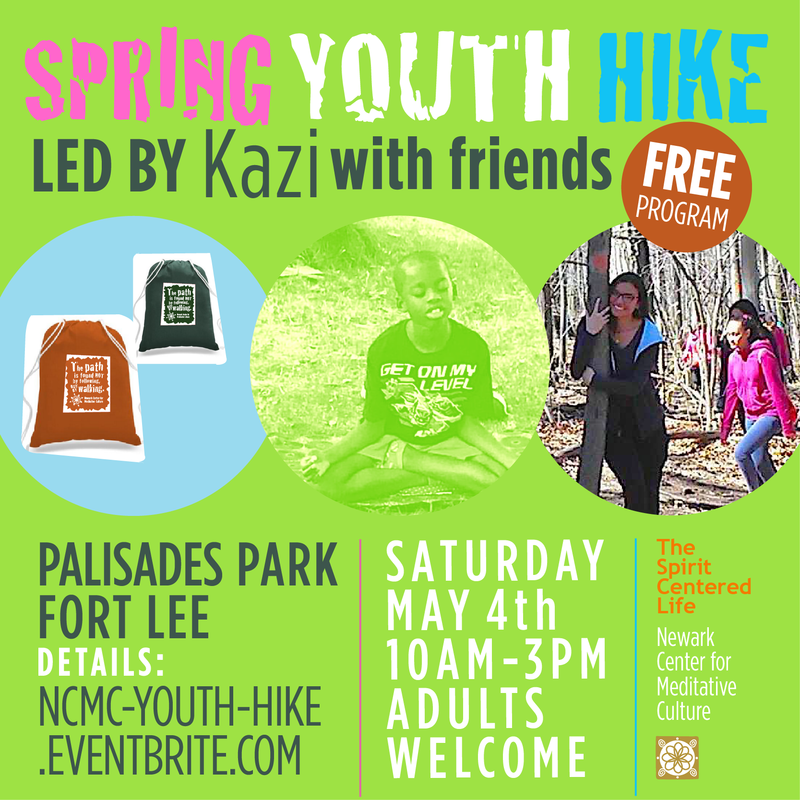 See Kazi’s full bio on the NCMC Website under Leadership. ALL MUST REGISTER! Go to registration form. 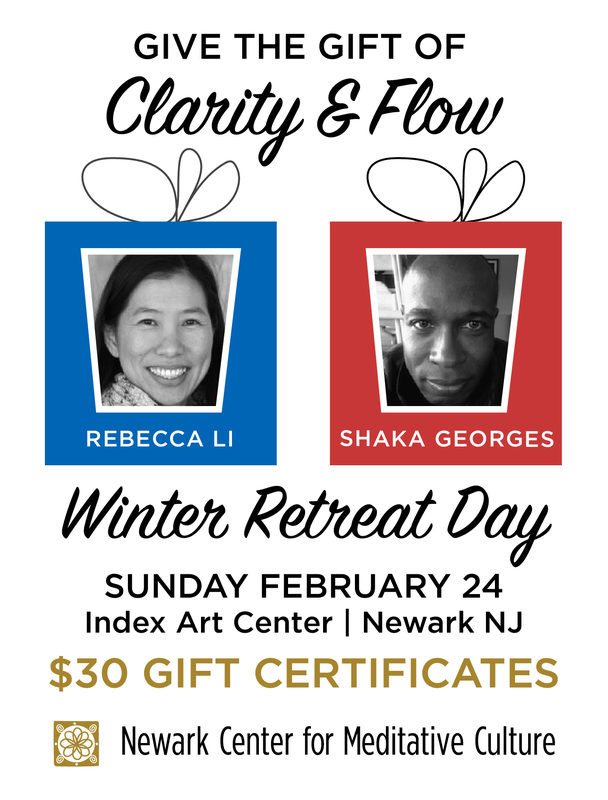 Spend the day with Newark Center for Meditative Culture relaxing into your body and mind to cultivate clarity, taught by guest meditation and dharma teachers Rebecca Li and Shaka Georges. Optional part-day participation (morning or afternoon session). Retreatants will receive guidance in sitting, walking, and moving meditation. The afternoon session will also include art/written word workshop on the Art of Seeing. This donation-based day retreat is appropriate for beginners to advanced meditators, aged 18 and older*. Vegetarian lunch included. $20 Adult/$10 Student, but donate what fits into your budget. Tax-deductible donations through PayPal/Credit Card when you register or Cash-at-Door. Donations go to gift teachers and to help cover rent and other expenses for this event. Donations are much needed and appreciated. Consider donating even if you can’t attend! Consider volunteering as your donation to attend OR volunteer AND attend! Or you can just volunteer and not attend! We need help with class set-up, buffet set-up, check-in desk, lunch service/clean-up, time-keeping and announcing, break-down, and vegetarian food donations. Please let us know when you fill out the registration form if you would like to volunteer in any of these ways and we’ll get back to you! Can’t attend but would like to help support this event? We always need help gifting the teachers and for venue rental and other event expenses. We also greatly appreciate NCMC friends who want to volunteer at the retreat, but not attend. Contact us at info@newarkmeditation.org. *If you feel that it’s important or necessary that your child/youth attend with you and you are able to mind and be responsible for your child/youth (aged 8 -17) during the retreat, you are welcome to submit one child when you register. They should be able to sit still and silent for extended periods. Rebecca Li, a Dharma heir in the lineage of the Chan Master Sheng Yen, started practicing meditation in 1995. She began her teacher’s training with Master Sheng Yen in 1999 to become a Dharma and meditation instructor. Later on, she trained with Simon Child to lead intensive retreats and received full Dharma transmission in 2016. Currently, she teaches meditation and Dharma classes, gives public lectures and leads retreats at Dharma Drum centers, university meditation groups and Dharma practice groups in the northeast. Her talks and writings can be found at www.rebeccali.org. Rebecca Li is also a professor of sociology in the Department of Sociology and Anthropology at The College of New Jersey. Shaka Georges began his martial arts practice at the age of 9 years old. He immigrated to the U.S. from Haiti in 1975, and ever since then has studied various forms of martial arts including Wing Chun, White Crane Kung Fu Capoeira, and Tai Chi Long and Short Forms. He is a Tibetan Buddhist practitioner from the Mahamudra Lineage and has been meditating for over 10 years. He has also been a fitness coach and instructor in Newark. 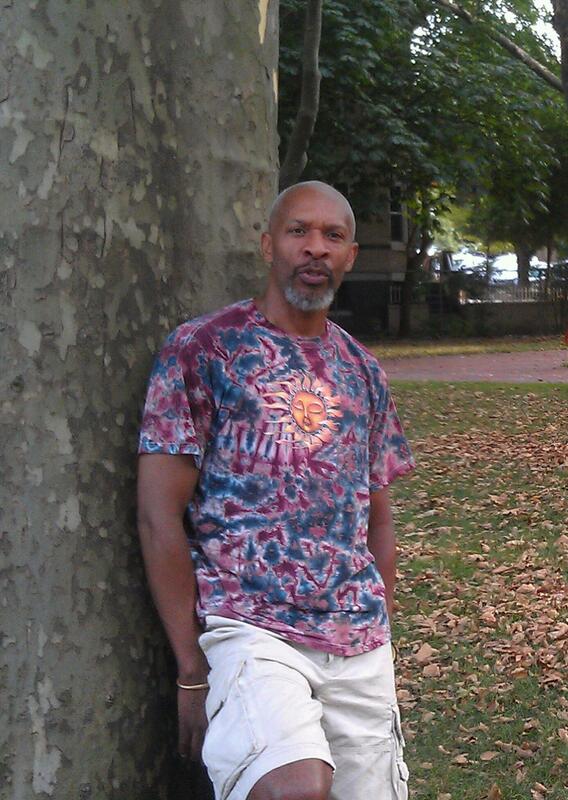 Shaka is a certified tai chi and qi gong teacher practicing in Montclair and Harrison NJ (see Discovering The Healer Within Facebook page) and is a mathematics high school teacher in West Orange. NCMC comenzaren una serie de tres meses de invierno de clases de meditación para principiantes para personas que hablan inglés y español* que viven en Newark y el área de Newark. Será impartido por J. Javier Cruz con otros instructores de NCMC. Esta serie será patrocinada por Ironbound Community Corporation. Será apropiado para adultos mayores de 18 años. *Aunque las clases no se pueden traducir en portugués, proporcionaremos folletos trilingües. Esta serie de clases tiene la intención de proporcionar un espacio seguro para aprender y practicar la meditación y la atención plena que pueden aumentar la felicidad y disminuir el estrés. Al hacerlo, un grupo bi o trilingüe de ideas afines puede desarrollarse para apoyar la práctica de los demás. Todos son bienvenidos, aunque como está destinado a la comunidad latino / hispana de Newark, necesitaremos reservar la mayoría de los espacios para esta comunidad. Detalles de registro próximos. NCMC will begin a Winter 3-month series of beginner’s meditation classes for spanish and english speaking* people living in Newark and Newark area. It will be taught by J. Javier Cruz with other NCMC instructors. This series will be sponsored by Ironbound Community Corporation. The classes will be appropriate for adults ages 18 and older. *Though classes can’t be translated in portuguese, we will provide trilingual handouts. This series of classes is intended to provide a safe space to learn and practice meditation and mindfulness that can increase happiness and decrease stress. In doing so, a like-minded bi- or tri- lingual group can develop to support each other’s practice. All are welcome, though as it is intended for the latino/hispanic community in Newark, we will need to reserve the majority of spaces for this community. Registration details forthcoming. A Beautiful Wintry Mix is Forecast! Over the first several years of our existence as an informal initiative, Arelís Hernandez and Keven Porter have quietly and consistently supported our mission. Arelís supported us with with her abundant energy and clear decision-making, knowledge of community organizing, skills with youth, and of course, her delicious cooking. Keven has been instrumental in introducing us throughout the community, promoting us, and as he puts it “sits for us”! At the end of this year they will be leaving us as founding members of our formal non-profit that was established earlier this year. They plan to commit their energy further to Rabbit Hole Farm. We will miss them dearly, but they will always be with us in spirit and we hope to still collaborate at times. We are excited to have two new in-coming board members starting in 2018, J. Javier Cruz and Jennifer Becher. We welcome them into our “mix”! 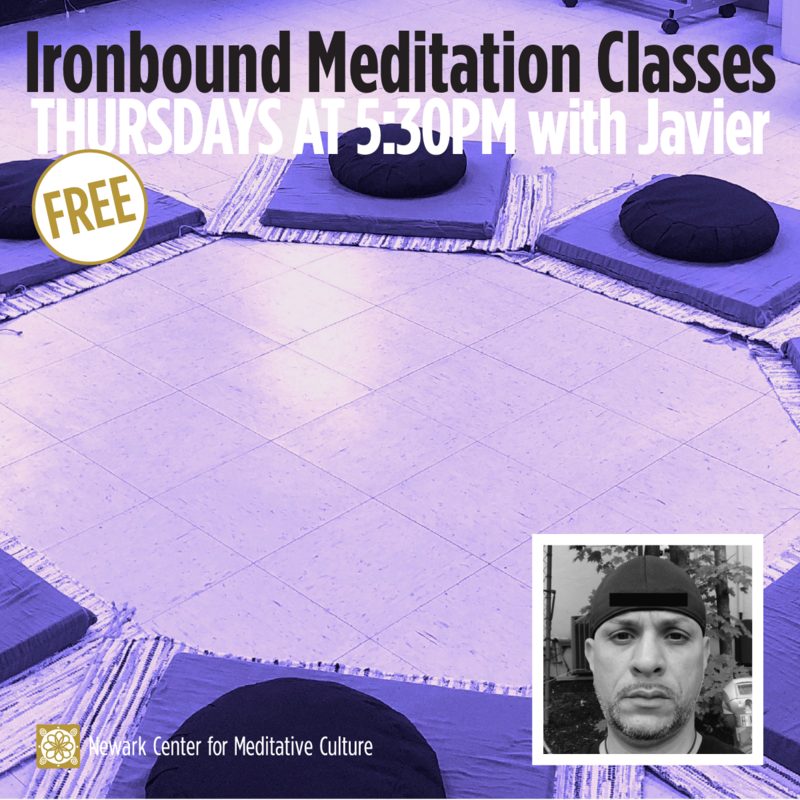 English-Spanish Beginner’s Meditation and Mindfulness Series to Begin in the Ironbound! 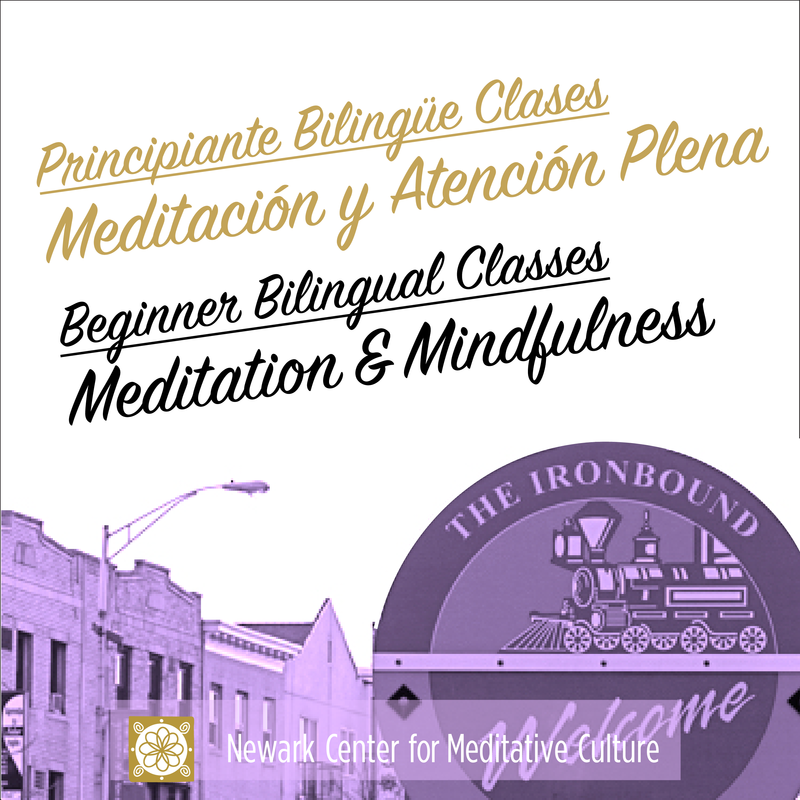 Starting in late January NCMC will begin the winter 3-month series of beginner’s meditation classes for spanish and english speaking* people living in Newark and Newark area. It will be taught by J. Javier Cruz with other NCMC instructors. This series will be sponsored by Ironbound Community Corporation. It is planned for Wednesday evenings from 6:00 to 8:30pm and will be appropriate for adults ages 18 and older. *Though classes can’t be translated in portuguese, we will provide trilingual handouts. This series of classes is intended to provide a safe space to learn and practice meditation and mindfulness that can increase happiness and decrease stress. In doing so, a like-minded bi- or tri- lingual group can develop to support each other’s practice. All are welcome, though as it is intended for the latino/hispanic community in Newark, we will need to reserve the majority of spaces for this community. Registration details forthcoming. Free to public, donations welcome. Please note, as this is late-breaking news, we apologize not to have provided this article in spanish translation! We intend to do so in the future. 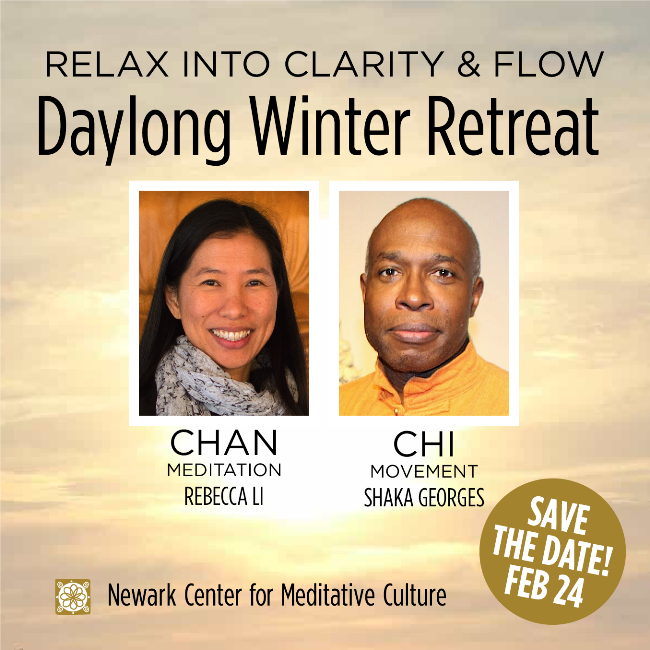 On February 25th at Index Art Center, NCMC will hold it’s yearly winter full-day retreat (optional part-day). We anticipate a cooperative, creative fusion of mind(s) and matter(s). There will be sessions of meditation, movement meditation, art, teacher talks, and Q&A. This donation-based day retreat is appropriate for beginners to advanced meditators, aged 18 and older. Registration required. Details will be forthcoming. We have a choice to neglect or nurture our minds. To nurture our minds takes a little discipline — the practice of meditation and mindfulness can help to etch good qualities and impartiality into our minds through positive reinforcement and developing intimacy with ourselves. We begin to see the connections between our brain, mind, heart, body, and spirit. The hard fact is, that to neglect our minds means that we might also be neglecting or even harming others. How often do we see the domino effect that our negative habits and actions can have on those close to us and our community, let alone those of other cultures? This certainly doesn’t mean that we can’t also play with abandonment, but we also then can use our mind skills to get back on track! ind for ourselves, we might even then extend our efforts to nurture the minds and help heal others. This is where compassion begins and becomes action. Putting ourselves in others shoes we can acknowledge and identify with their pain, unhappiness, and injustices and take good radical action. 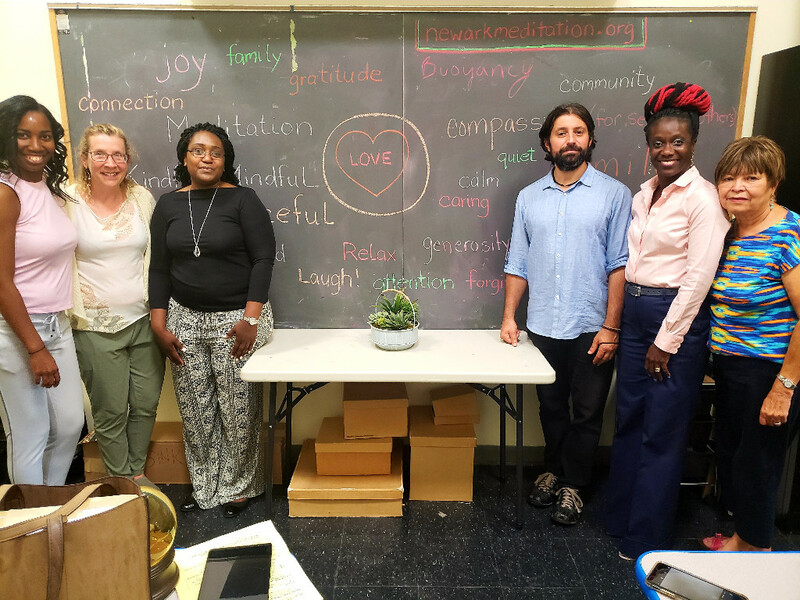 Newark Center for Meditative Culture (NCMC) is currently offering three gems of opportunities to plant seeds of positive power and nurture our minds. On Wednesday, October 25th, by special invitation, Bhante Buddharakkhita of Uganda will give a presentation, dhamma talk, and guided meditation, Planting Dhamma Seeds in Uganda and Nurturing Our Minds from 6:30pm to 9:00pm at City Without Walls. Concurrently, Ib’nallah S. Kazi will lead a Facebook Live meditation, Self-Healing Medicine, the last in a series of four starting at 7:00pm. Kazi’s meditation will also be broadcast at City Without Walls Gallery at 6 Crawford Street in Newark NJ for all attending there. Portions of Bhante Buddharakkhita’s program will be on Facebook Live starting at 7:30 pm. 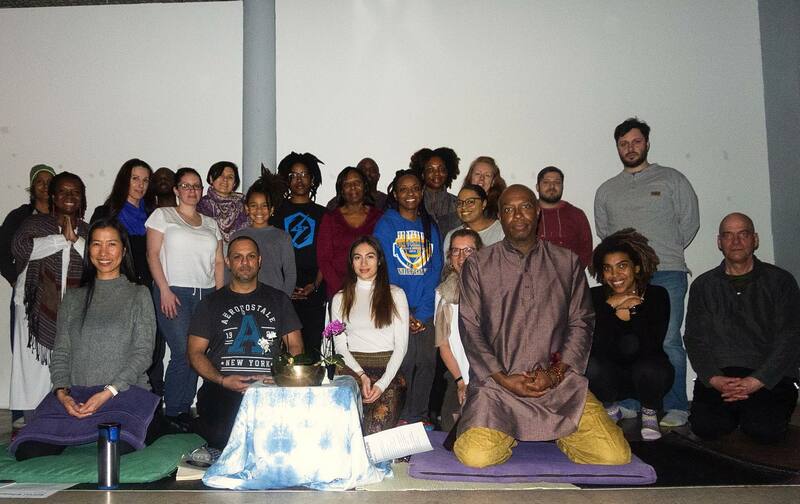 Then on Sunday, November 12th we will be holding a full-day retreat, People of Color & Allies Full-Day Retreat: Our Return to Ancestral Meditation Medicine, taught by Kazi with assistance by J. Javier Cruz and Andrea Lee. The retreat will be held at Index Art Center at 237 Washington Street in Newark NJ and will run from 10:00am to 5pm. 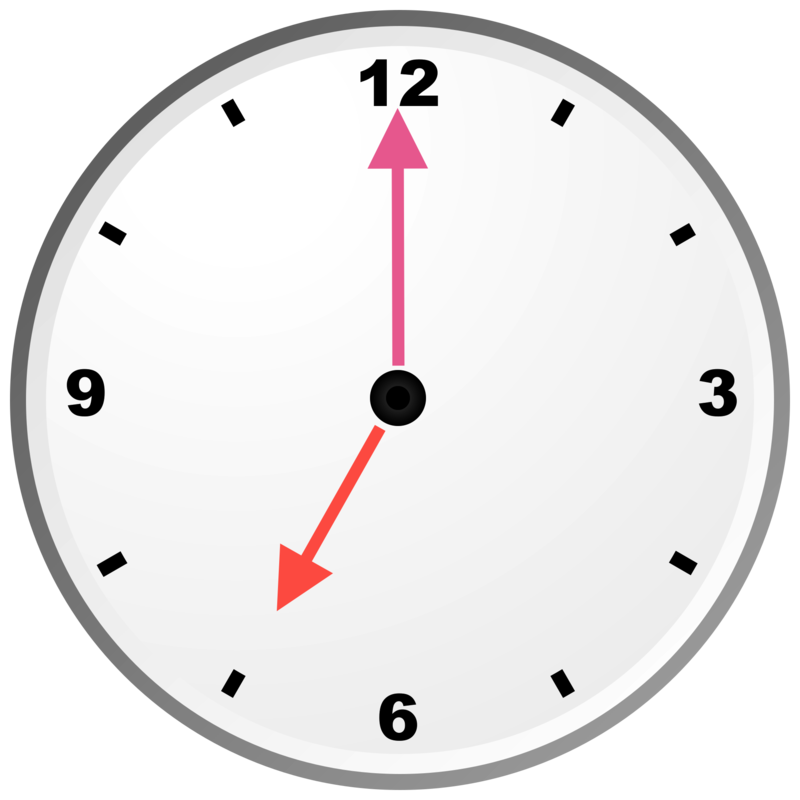 Participants can choose whether they attend full-day or part-day (morning or afternoon session). These programs are donation-based so that NCMC can generously gift the teachers to support their work. Please contact us by email with any questions at info@newarkmeditation.org. Whether through movement or stillness, we can practice mindfulness and meditation. Our four standard postures of meditation are sitting, standing, walking, and lying down (we love that one! ), but all the postures in between are potential experiences of present-moment awareness. Whatever position or transition we’re in — kneeling, slouching, crouching, jumping, skipping, dancing — we can be in that moment. And at this moment we’re practicing on the lawn in the green grass at Military Park. See you there! Shoes allowed, but it’s also a joy to mindfully tickle our toes in the grass! 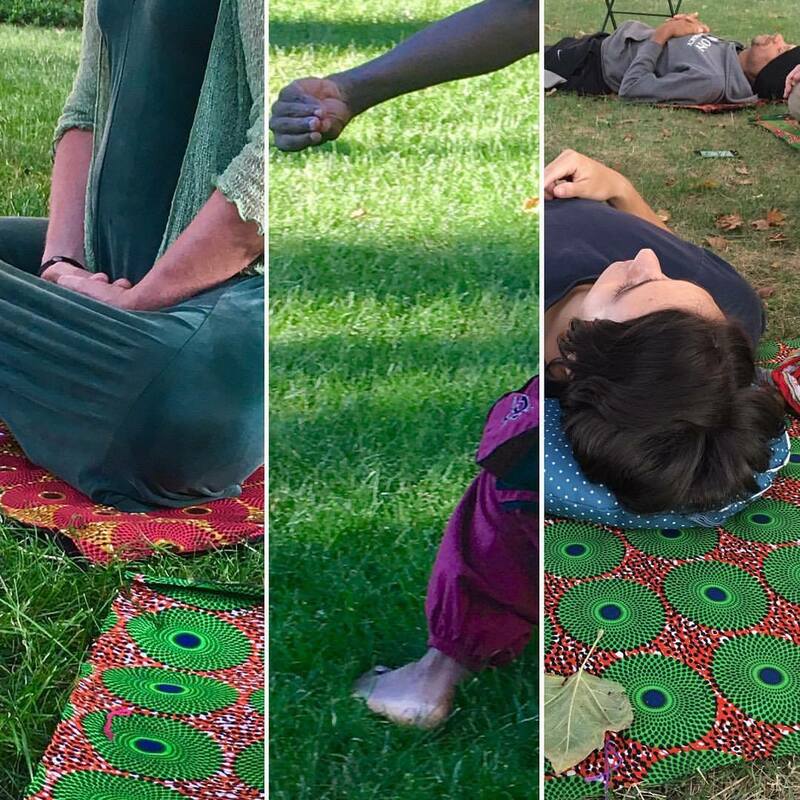 There’s still two chances to join in on this beginner’s series taught by meditation teacher and neuro-psychologist Cornelia Santschi and assisted by peer-leader Kamilah Crawley. 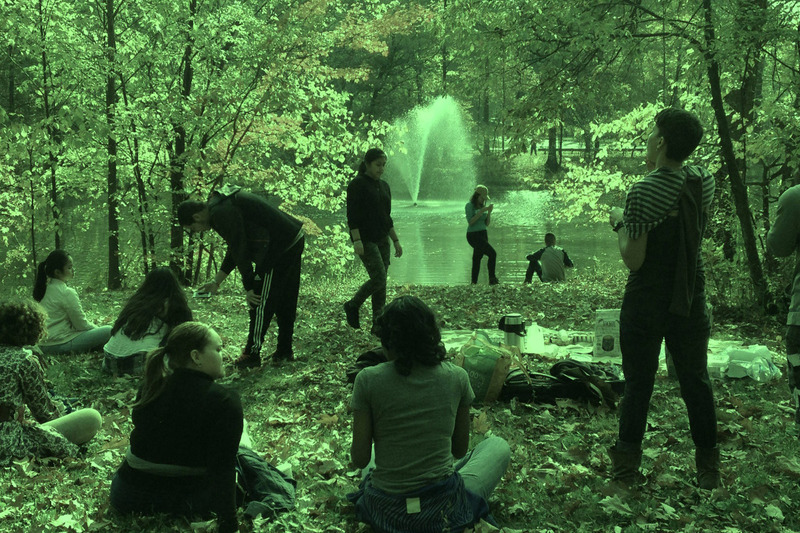 You will learn the basics of mindfulness and meditation in urban nature. You’re welcome to bring your children. We’ll be sitting in Military Park with the Basic Meditation class tonight and August 30th (till 8pm). Then we will move back to our regular venue at City Without Walls on September 6th. 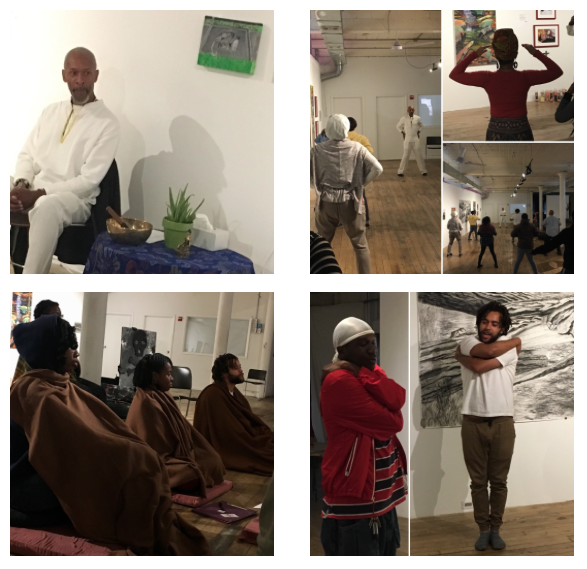 Short sessions of meditation, movement, discussion, and reading. Join us for some mid-week peace-of-mind. 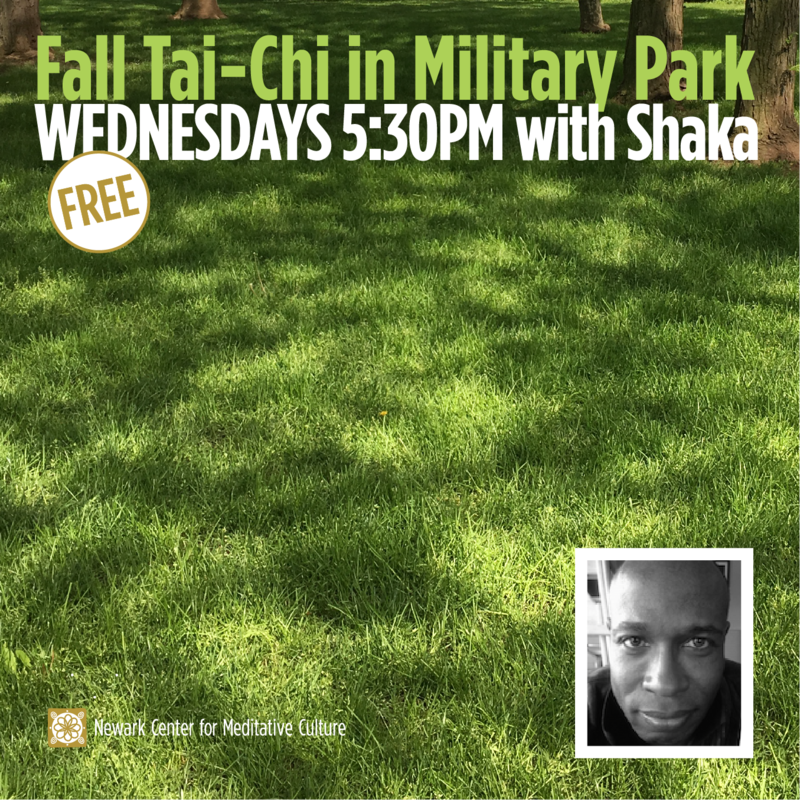 Join recurring NCMC teacher Shaka Georges for a series of tai-chi and qi-gong classes in the park (weather permitting). There’s no registration and each class is stand-alone so join in any time. Get into the flow — gentle, interesting, and artful movement for wellness, healing, and energy.